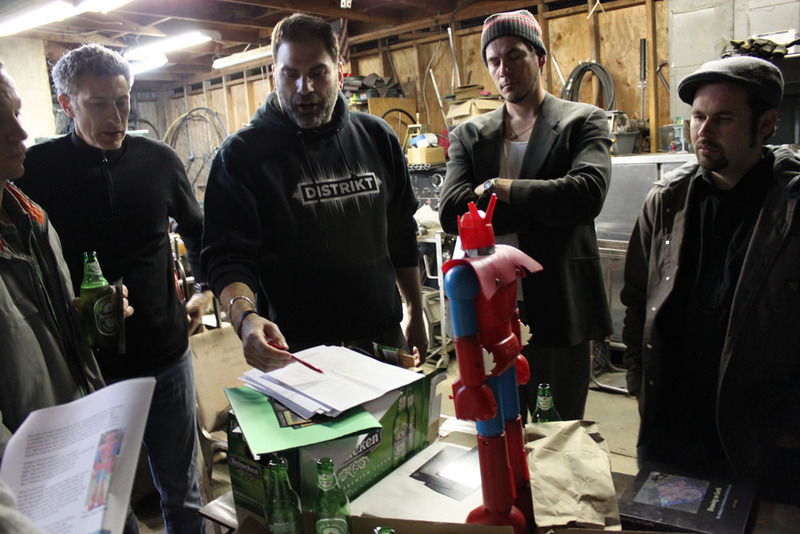 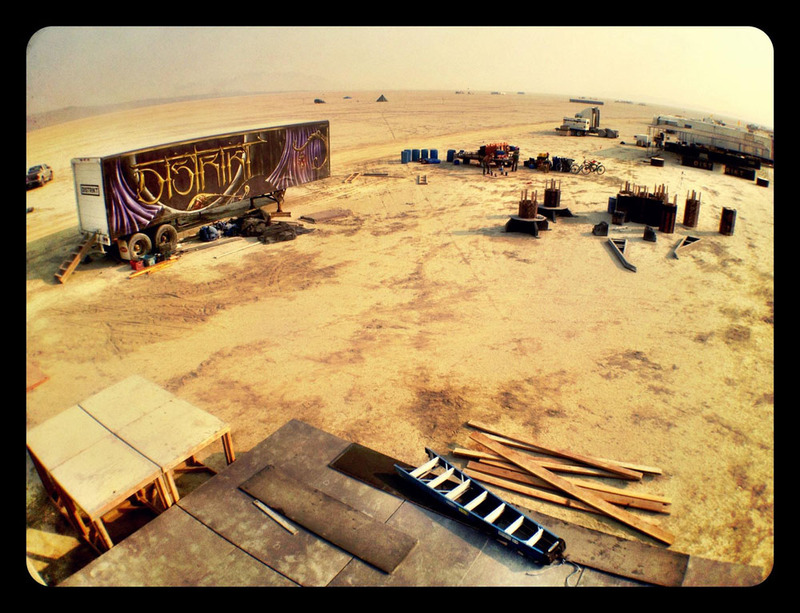 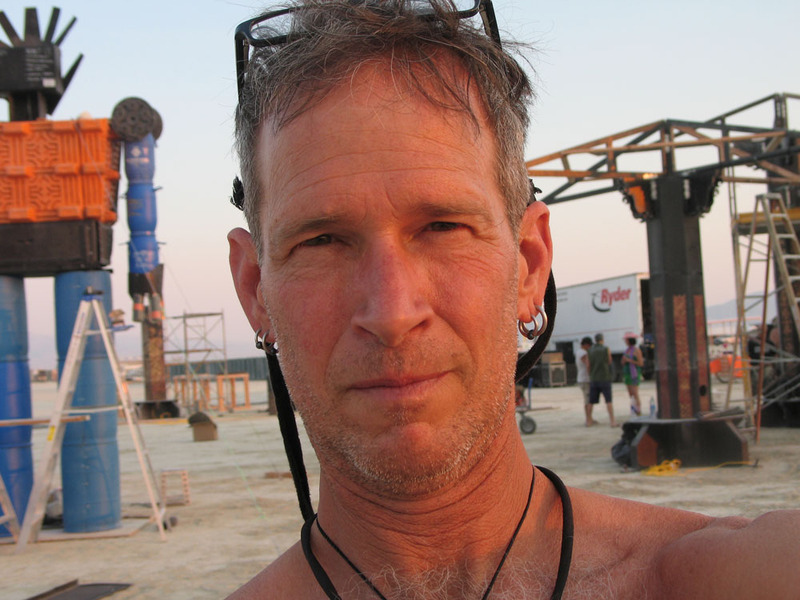 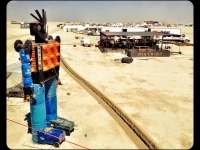 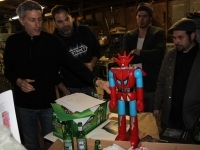 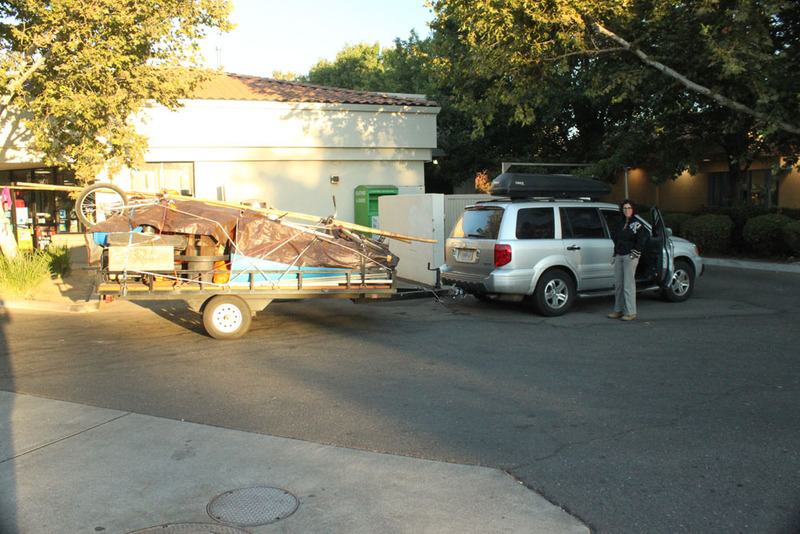 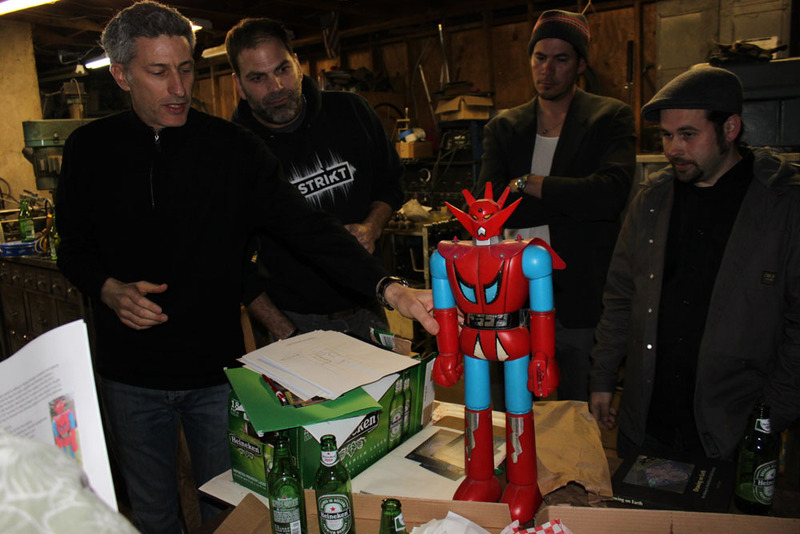 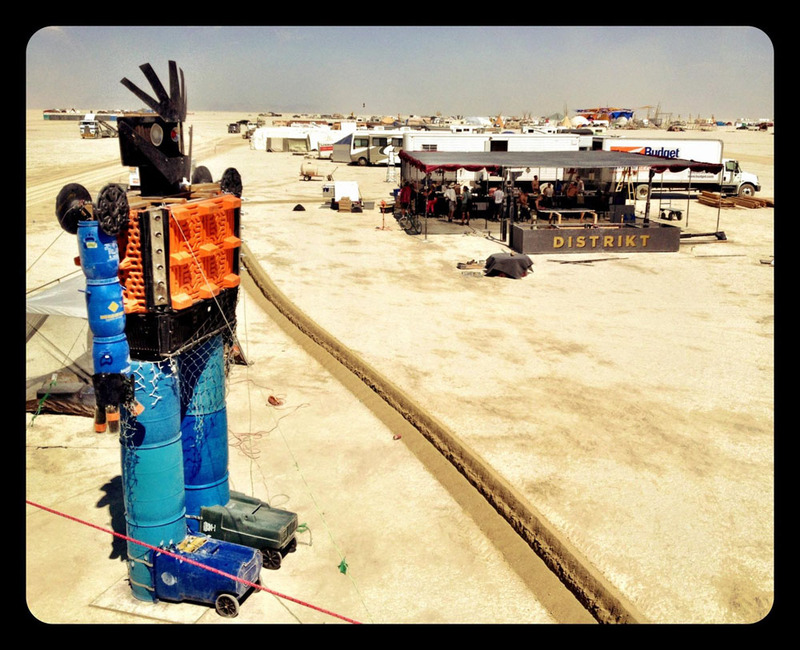 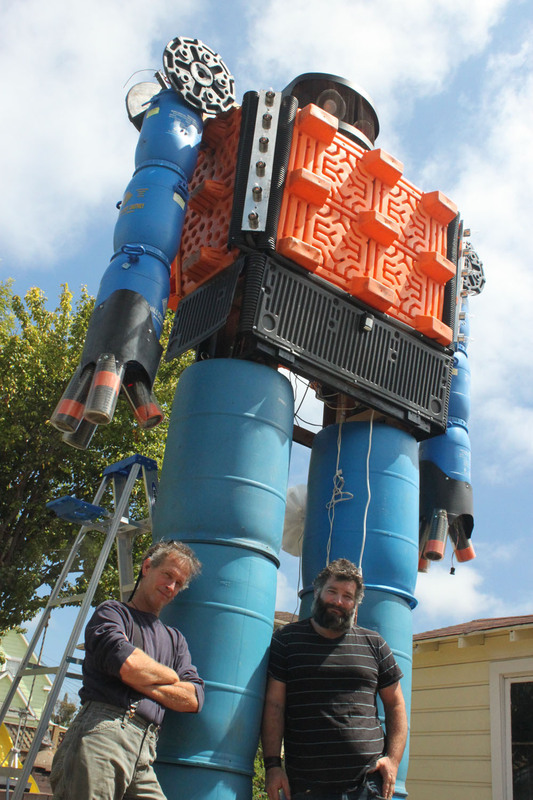 Recycletron – the Dragun Giant Robot is the brainchild of Nick Myerhoff and Mike Parisi. 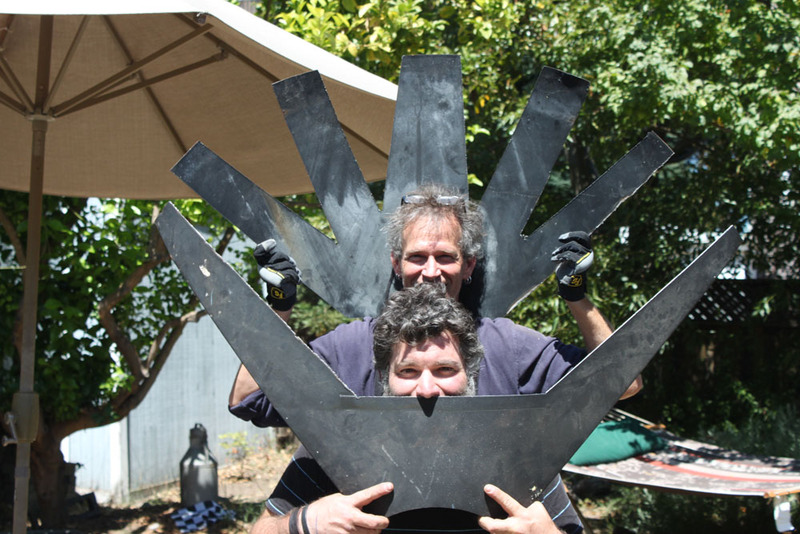 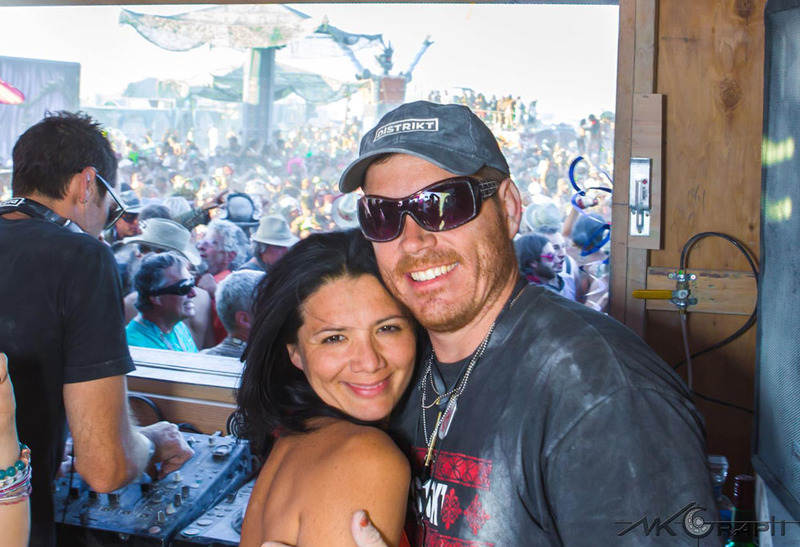 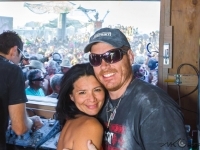 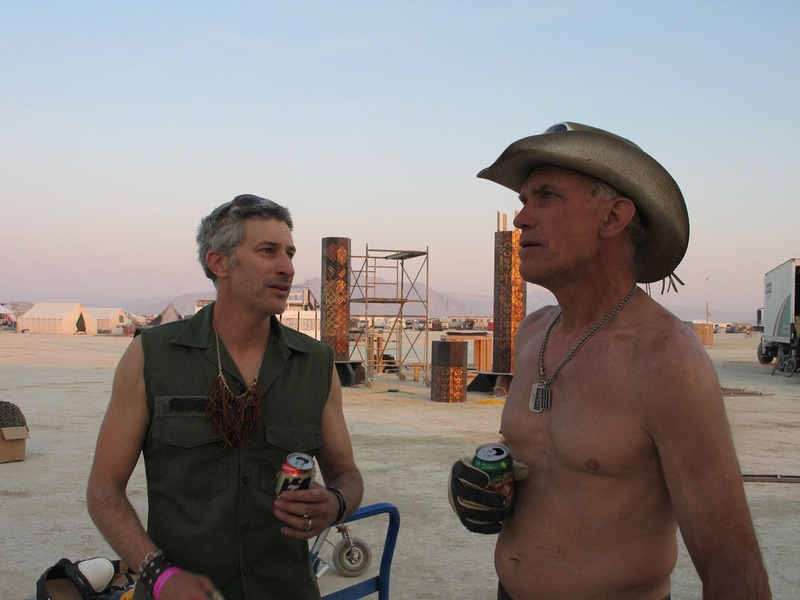 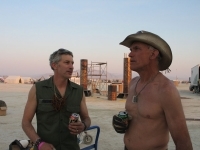 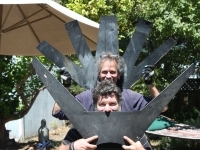 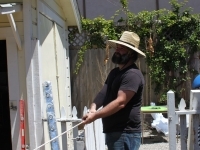 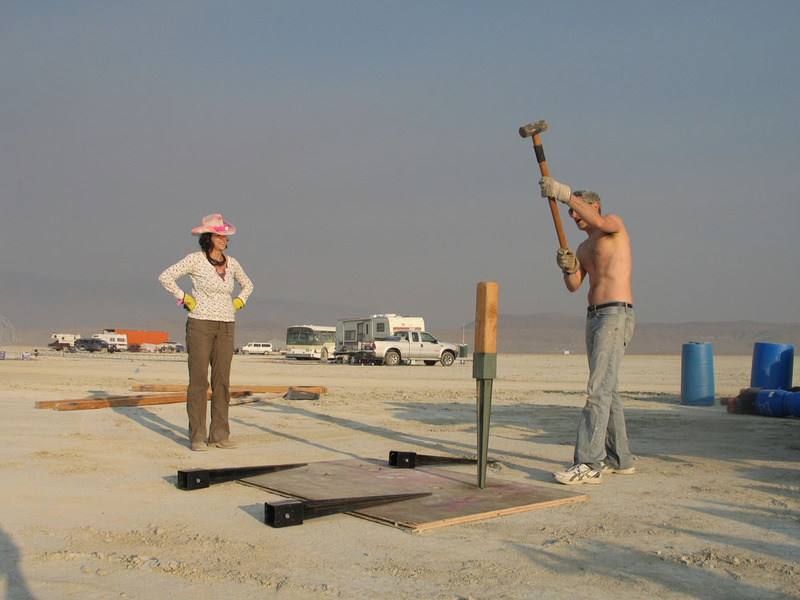 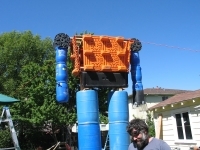 They are a pair of misfit artist comrades who have been seeding the giant robot sculpture concept since 1995 when they worked together on the original Armymen video game at the now defunct 3DO Company. 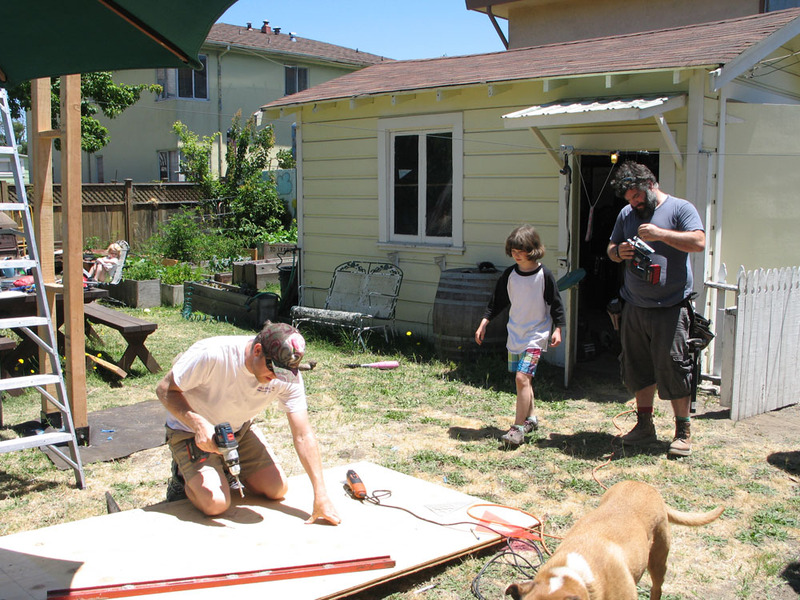 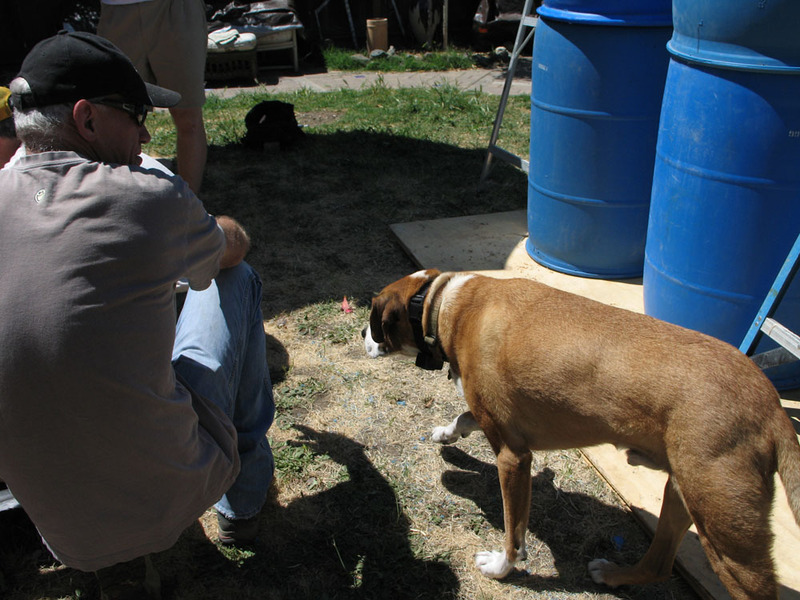 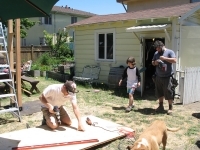 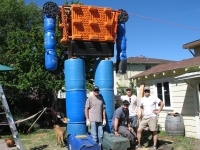 Nick was awarded the first Distrikt art grant in December 2011 and the robot grew in his back yard in Alameda over the ensuing months attracting a superstar build team: Mark Wagner, Ken Dahl, Daimon Marchand, Alice Myerhoff, Richard McDougall, Woodson Martin, a few other creative souls, some cool kids, and a dog named Pluto. 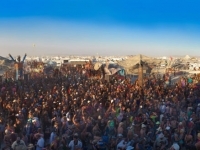 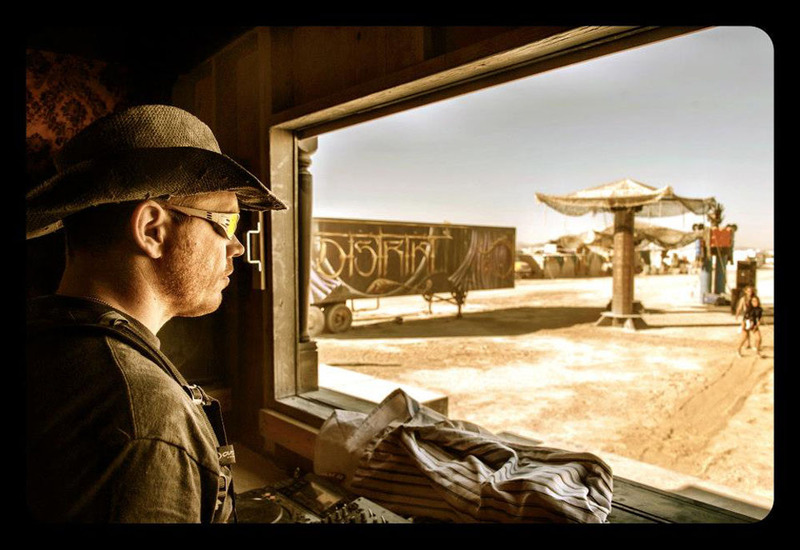 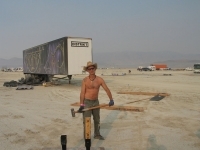 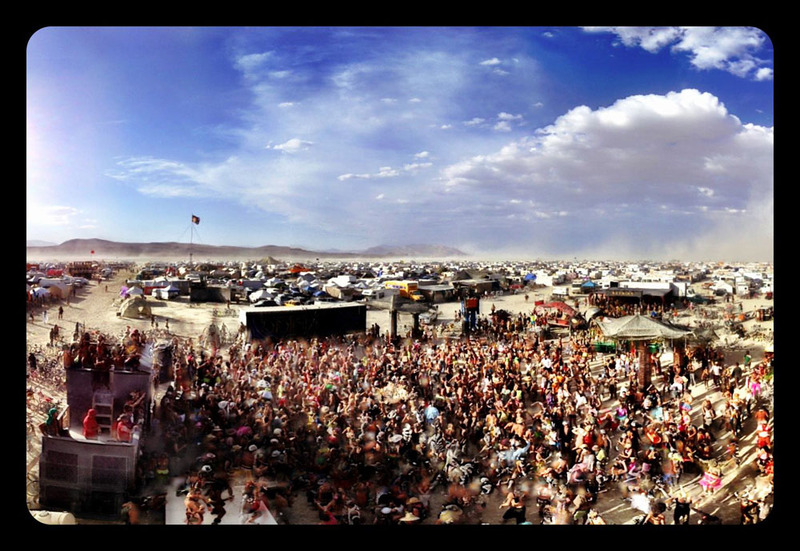 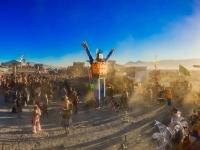 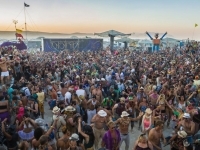 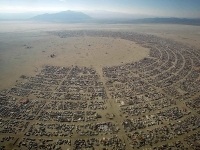 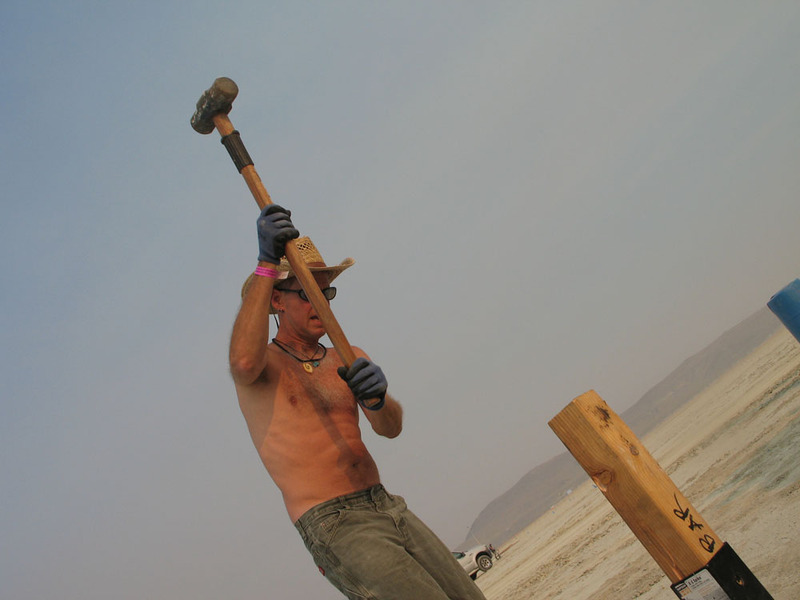 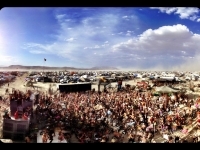 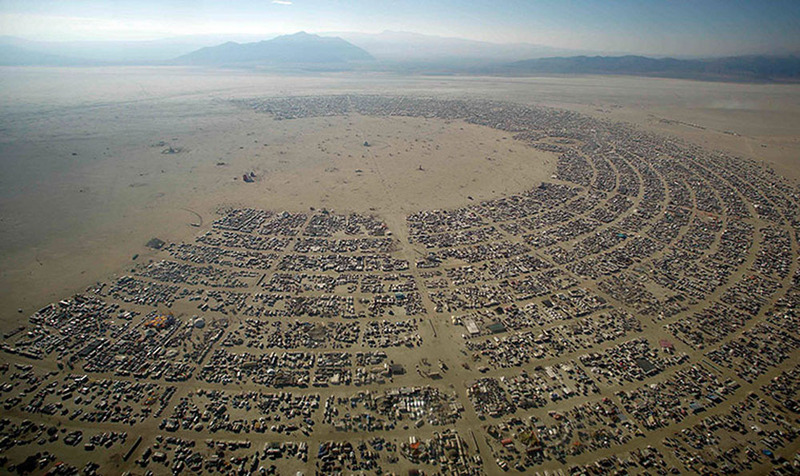 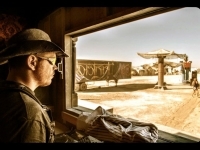 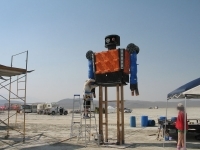 The collective experience of the team ranges from Guinness Book of World Record art creators to silicon valley computer science executives and engineers. 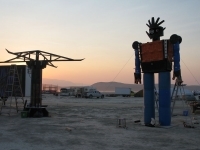 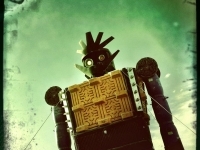 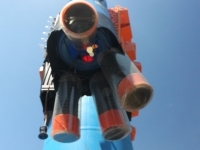 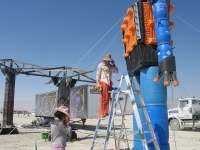 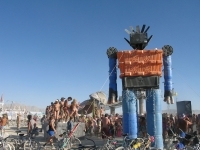 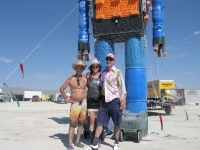 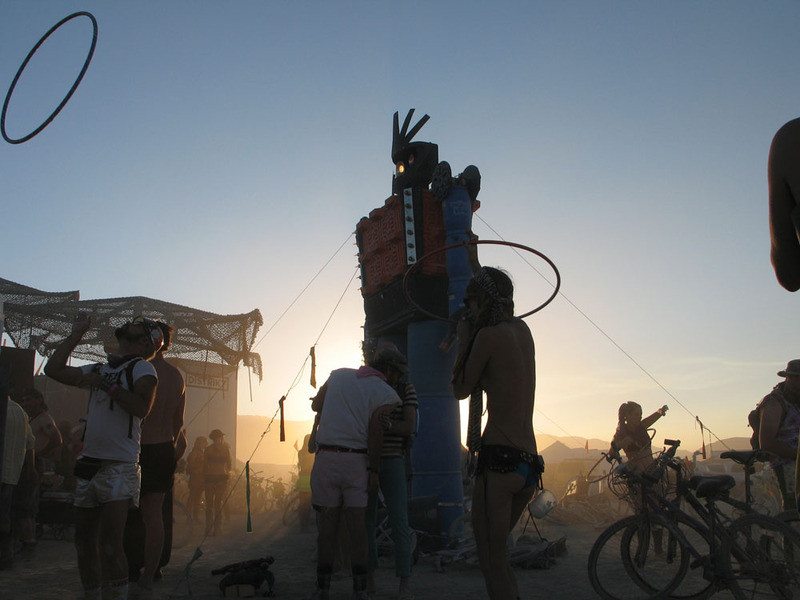 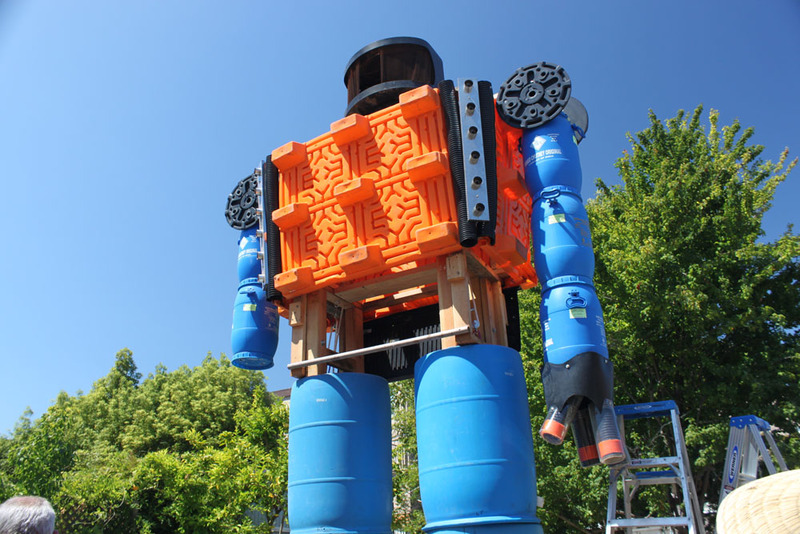 Dragun is a 20’ tall full-scale stylized version of a 1970’s Shogun Warrior (known as Jumbo Machinder) made of recycled plastic. 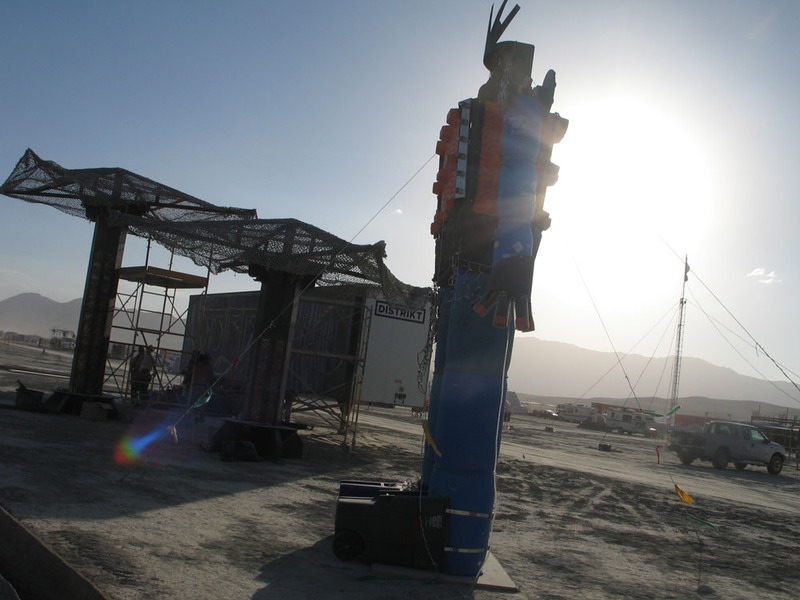 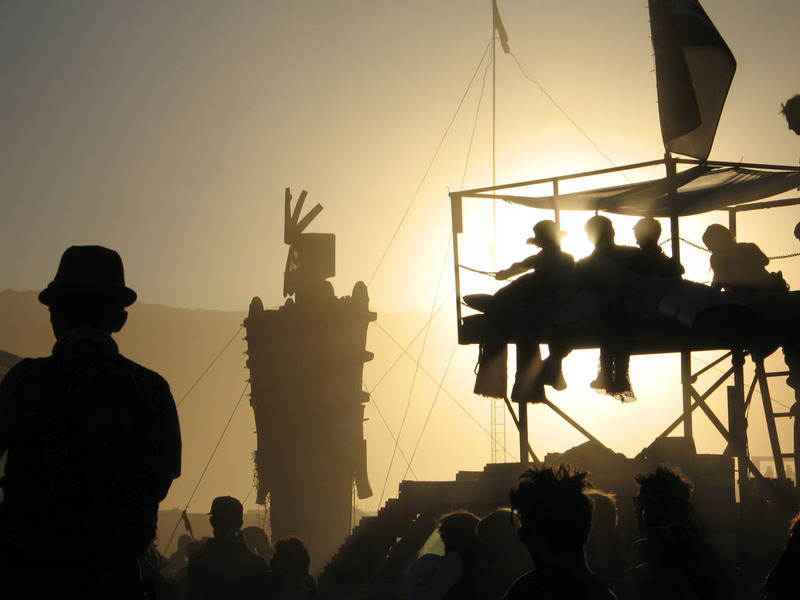 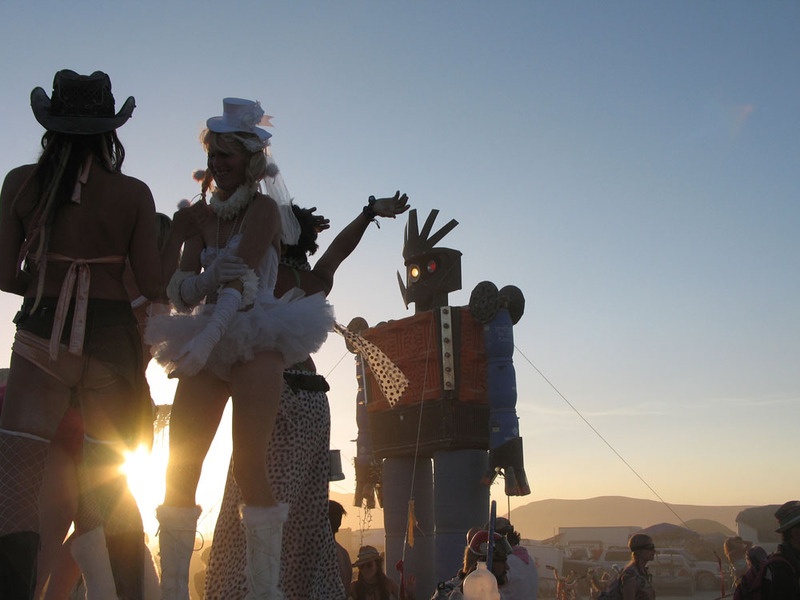 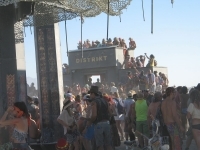 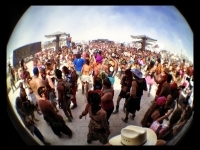 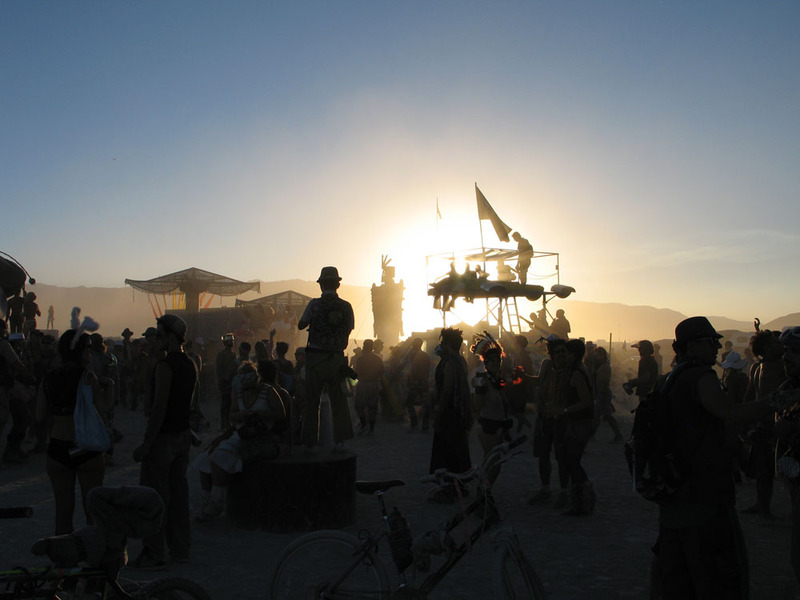 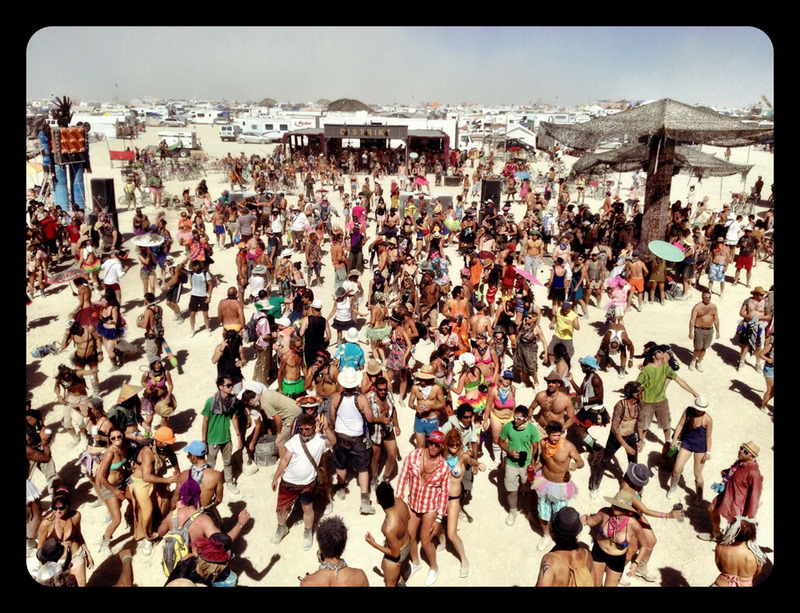 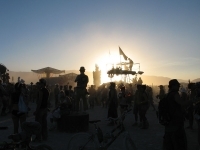 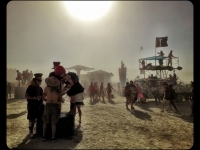 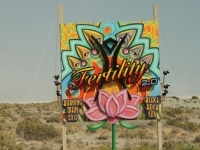 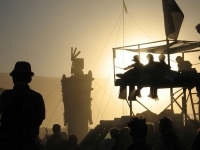 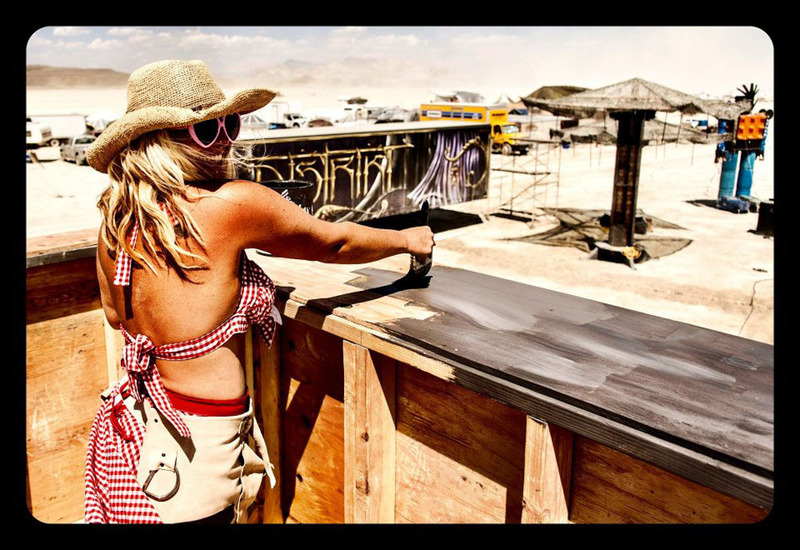 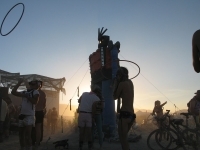 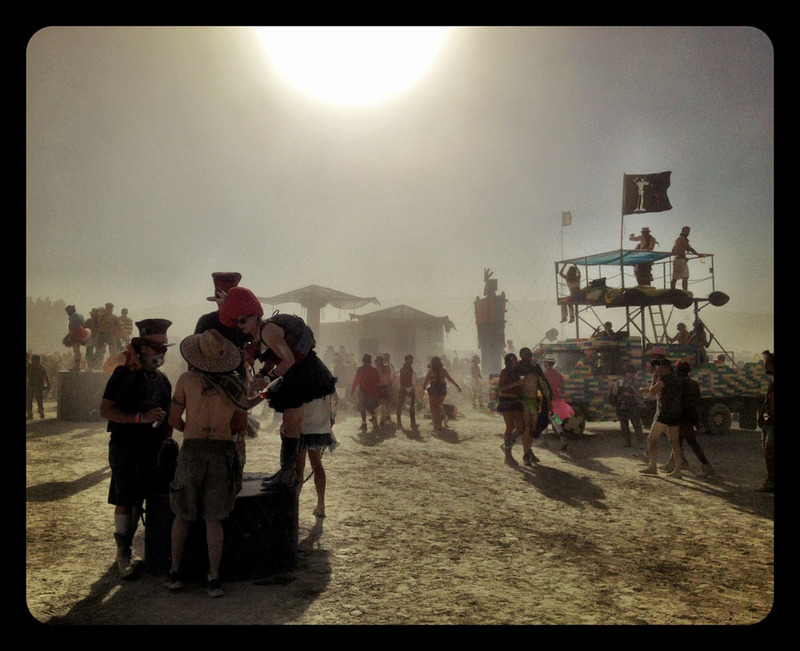 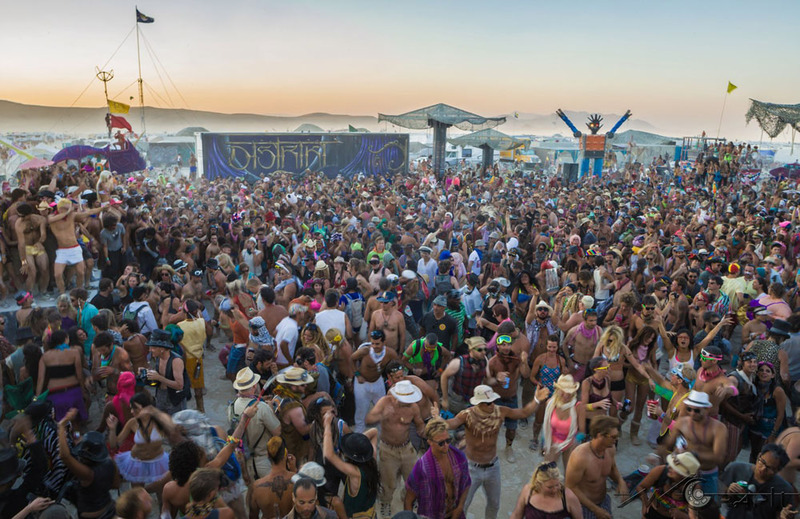 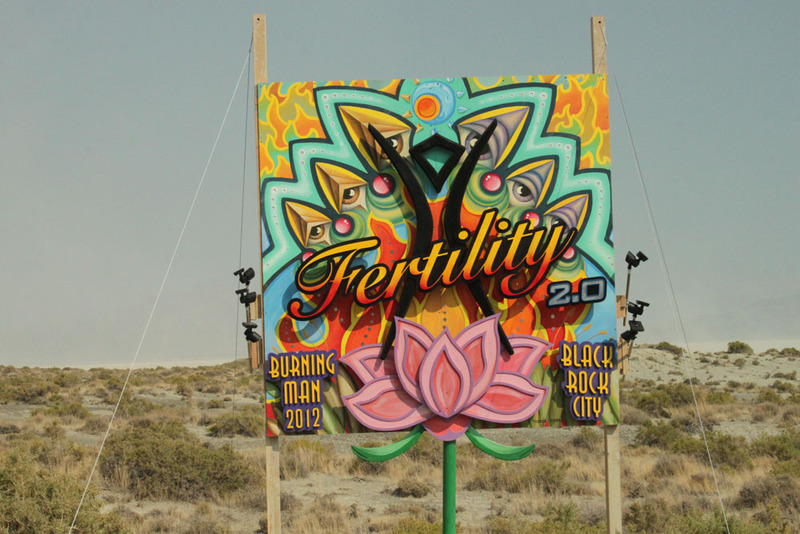 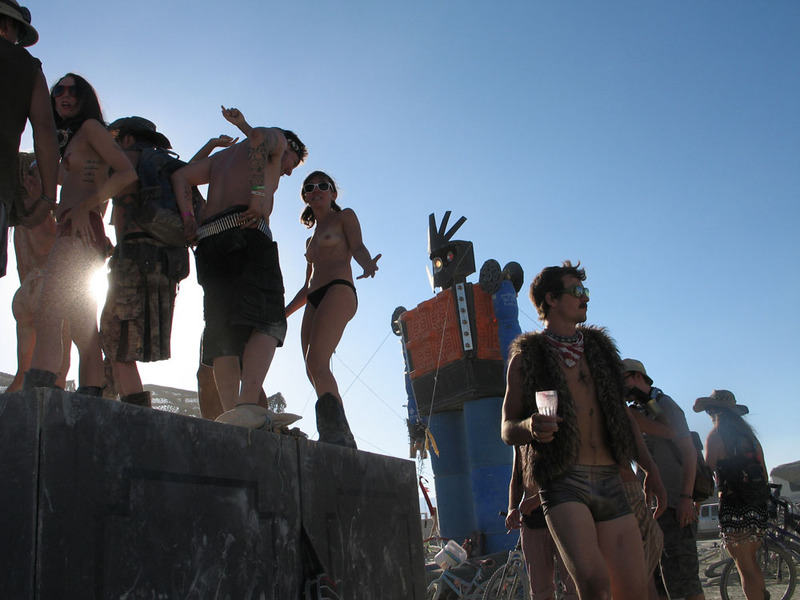 It is an interactive, large scale art sculpture with completely different night and day visual aesthetics. 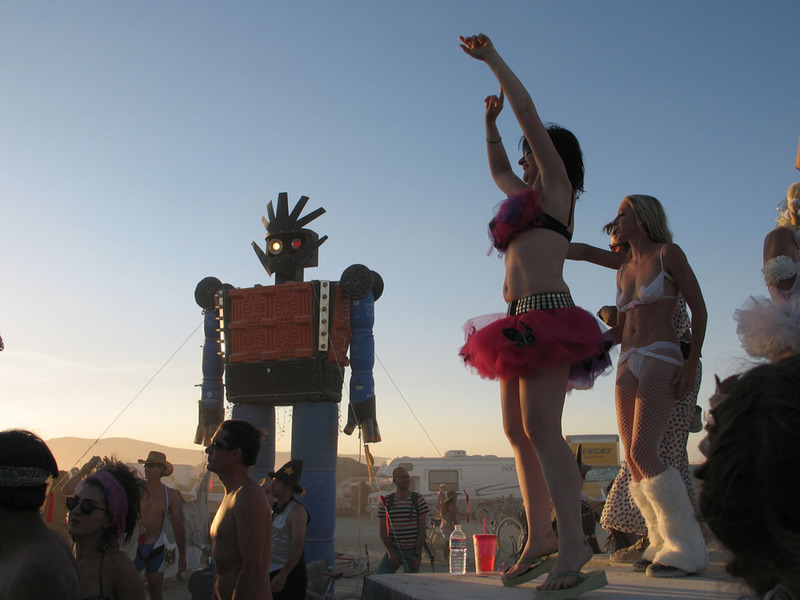 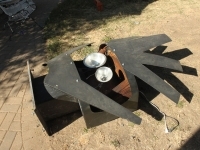 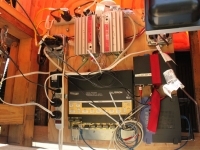 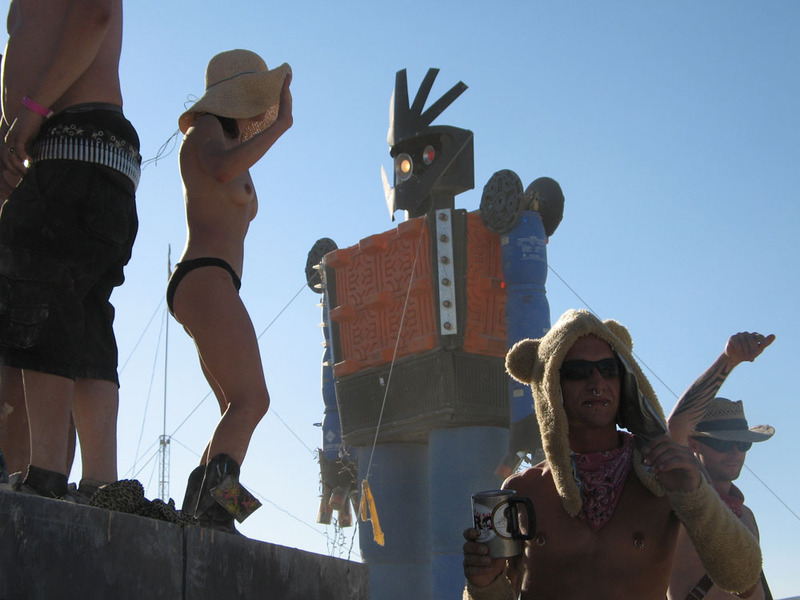 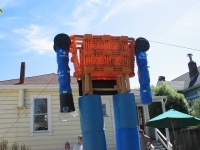 The robot is adorned with three types of interactivity; sound, light and movement. 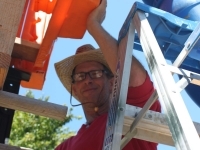 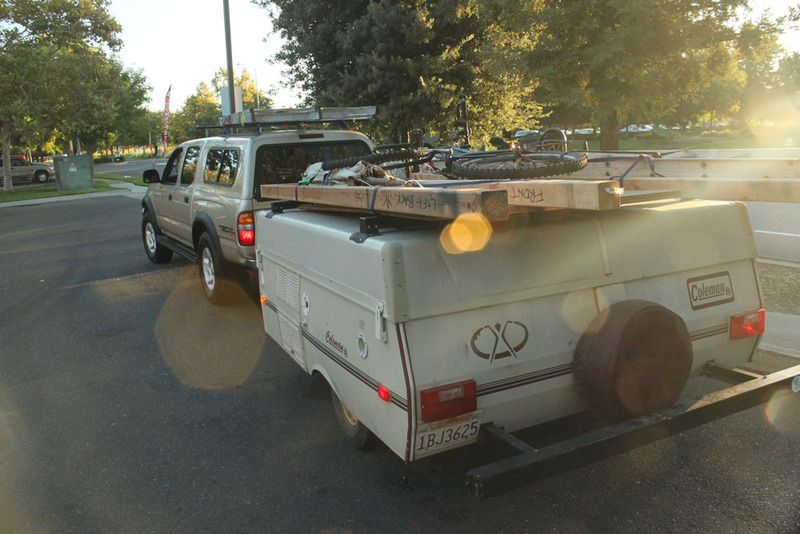 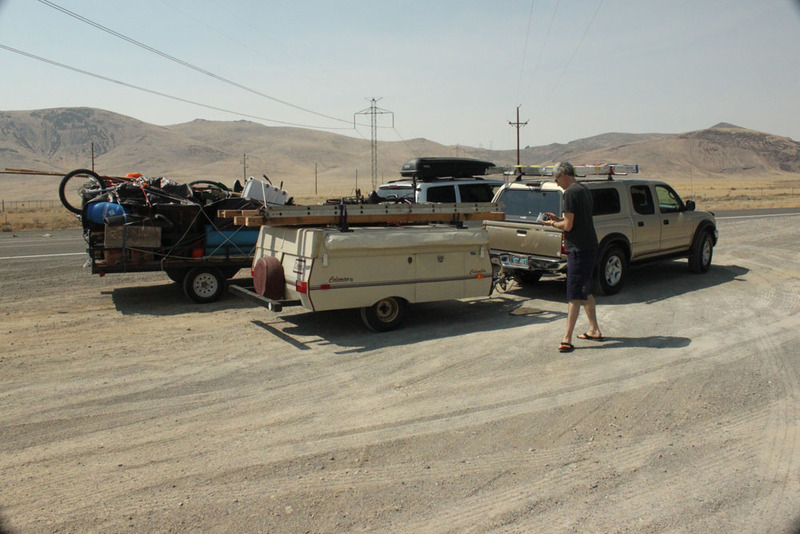 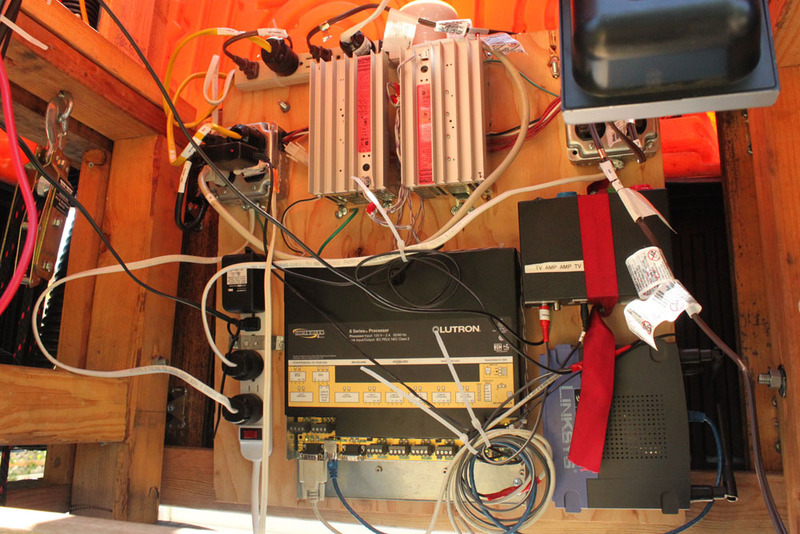 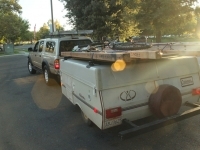 He is controlled by wifi, motion sensor and a cable pulley system. 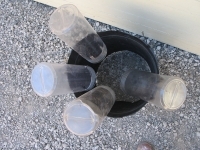 Many discussions have taken place around his gender and it is still unknown. 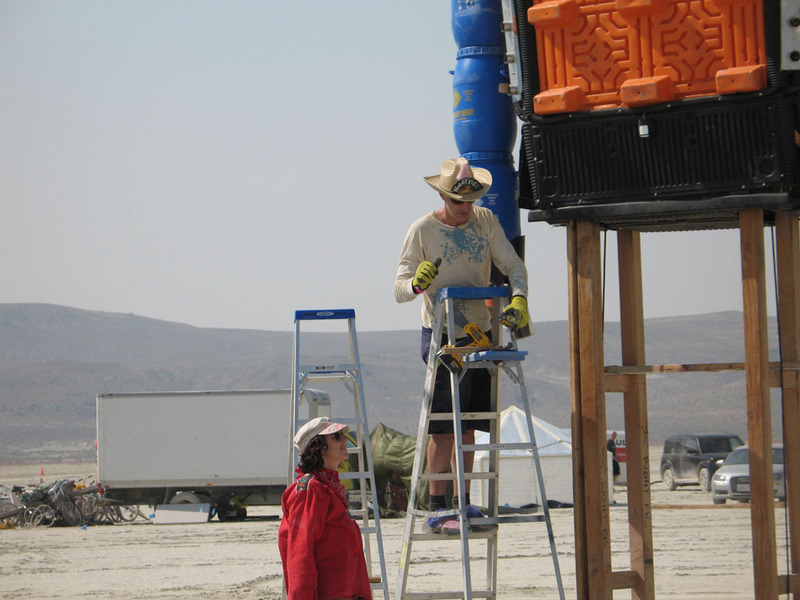 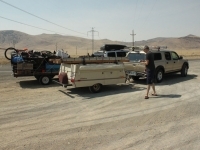 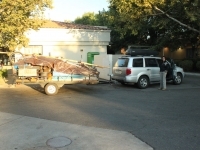 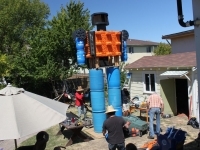 The robot is as tall as a house and weighs in at approximately 1000 lbs. 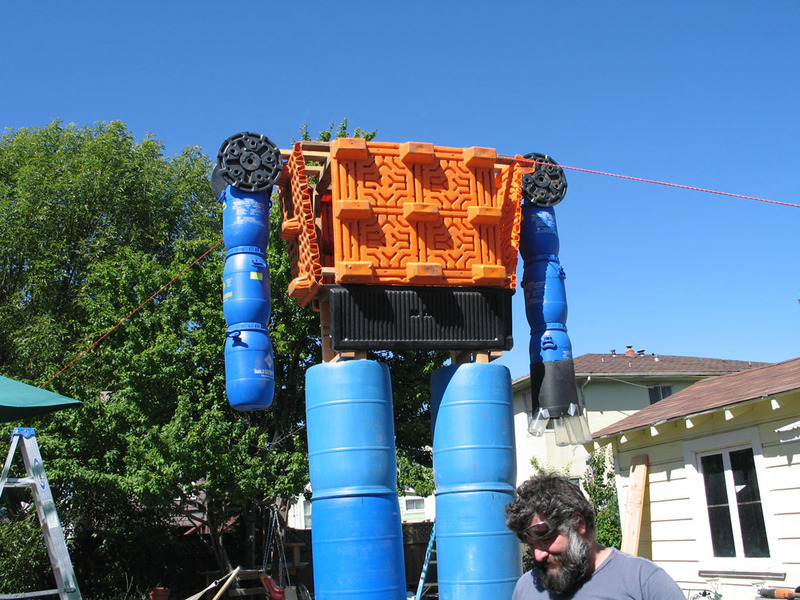 His arms are made from Mango Chutney barrels and his legs are plastic water drums. 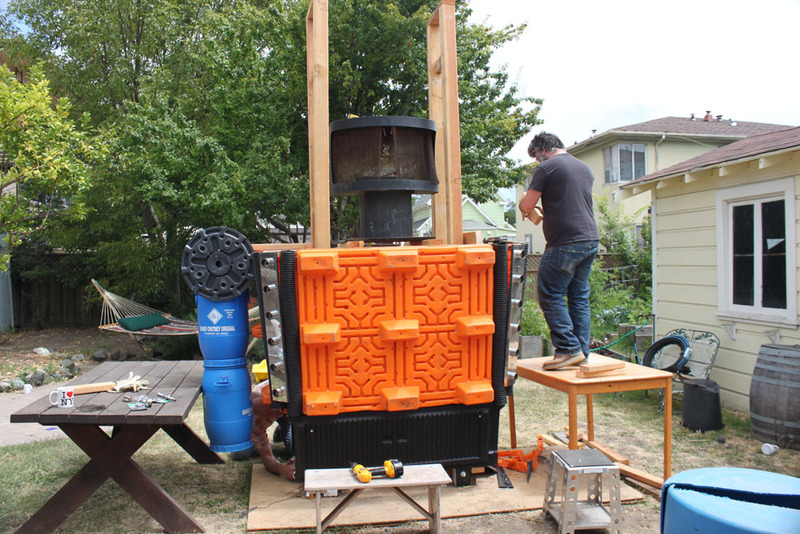 Dragun’s only metal part is his head, which is a wood burning stove. 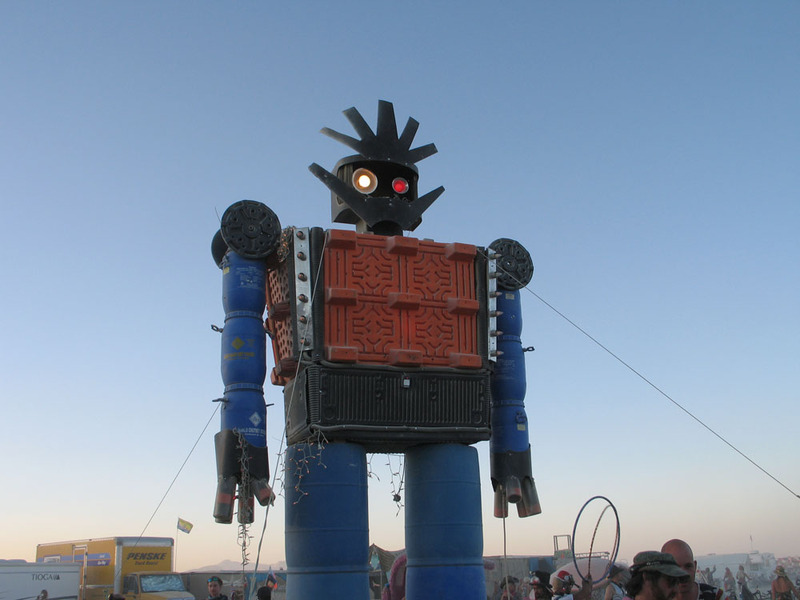 Dragun is made from 90% post consumer waste; he’s recycled! 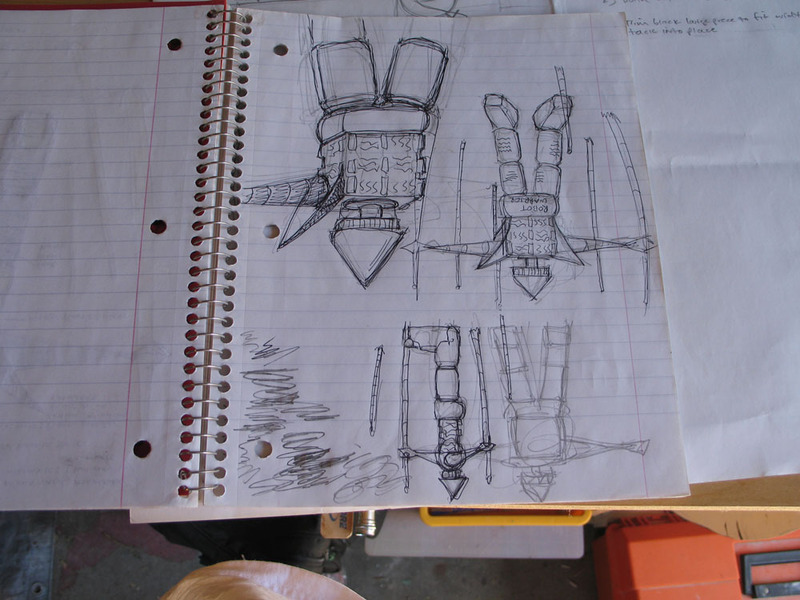 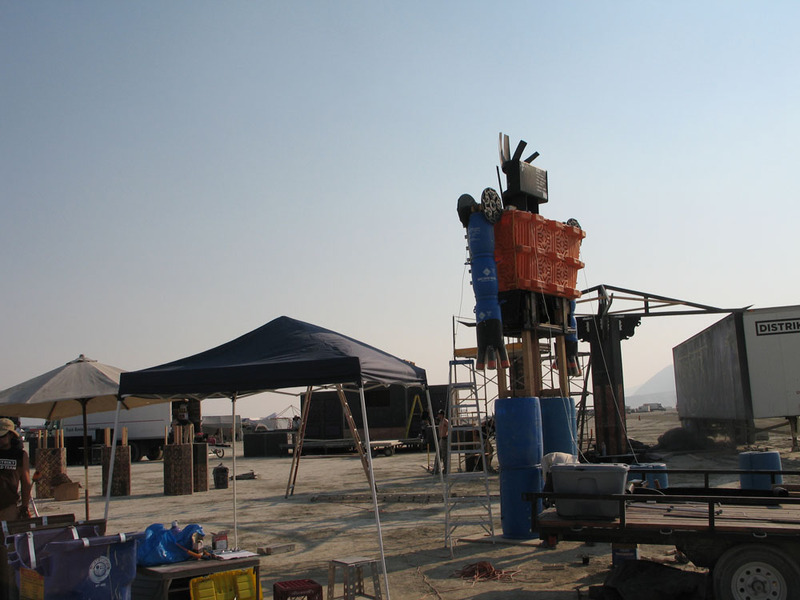 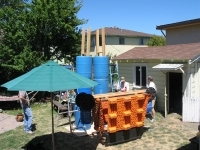 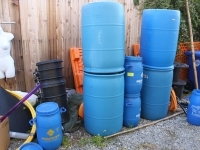 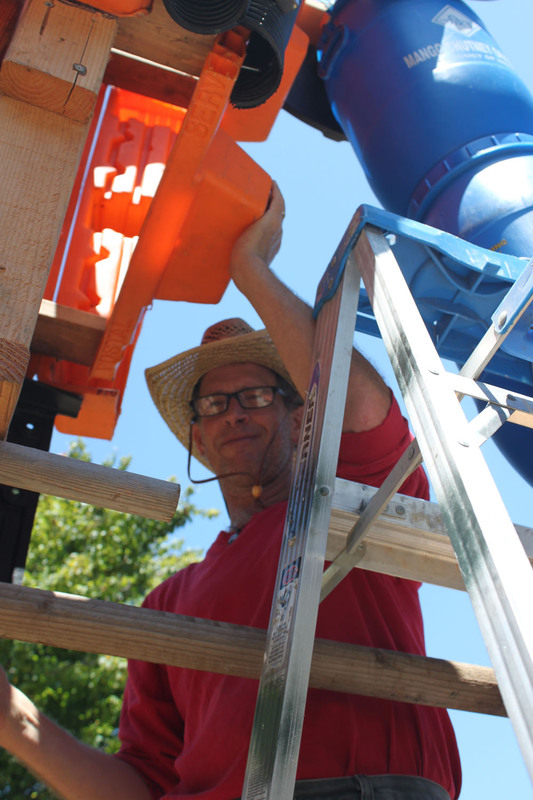 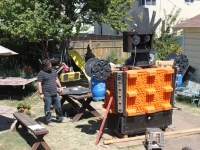 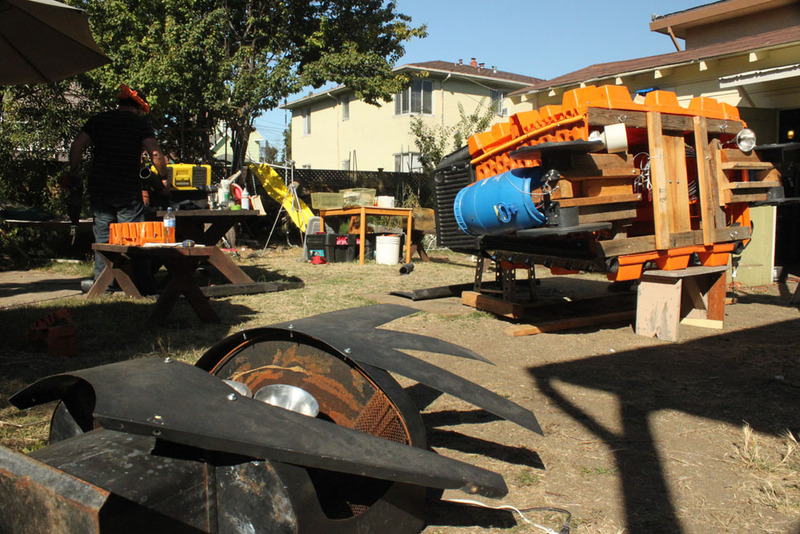 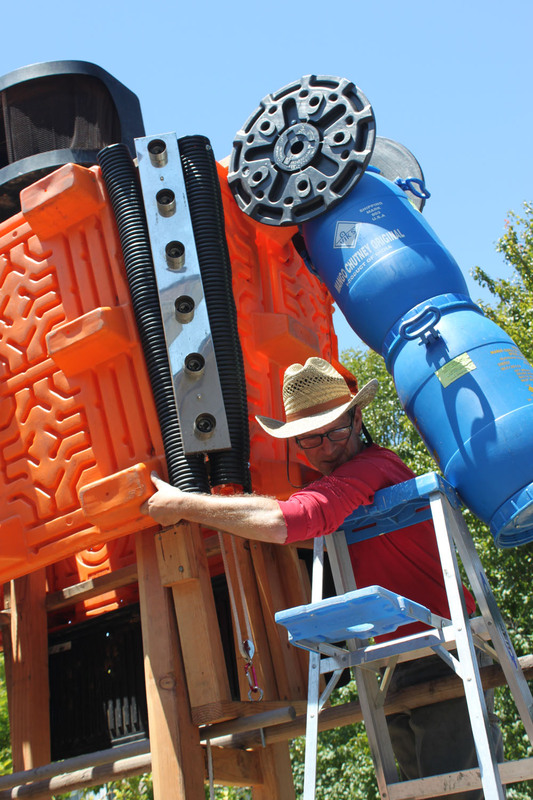 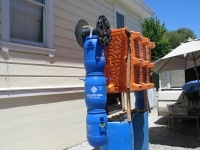 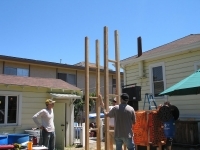 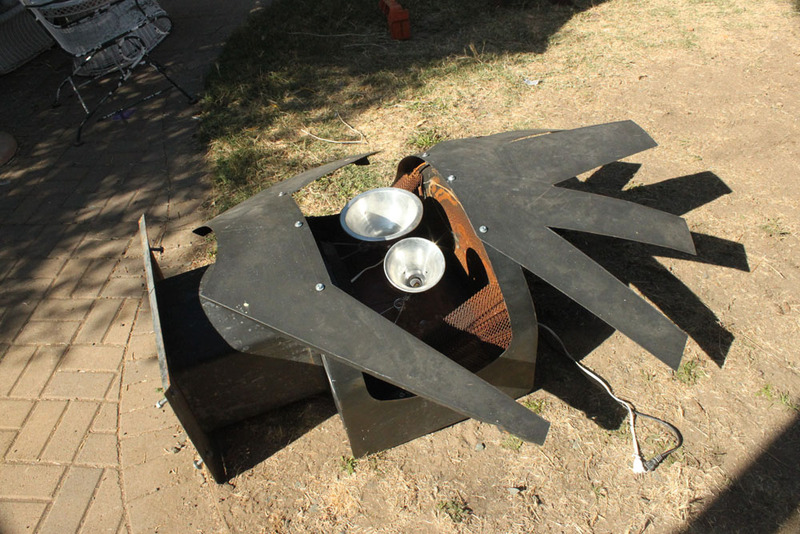 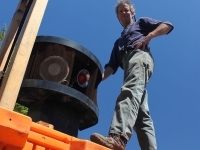 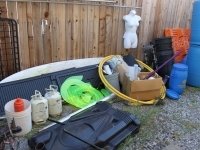 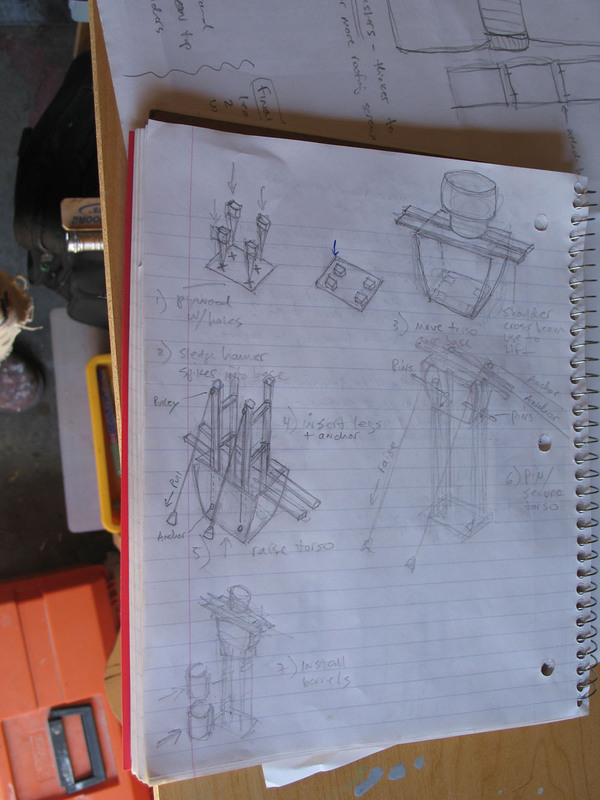 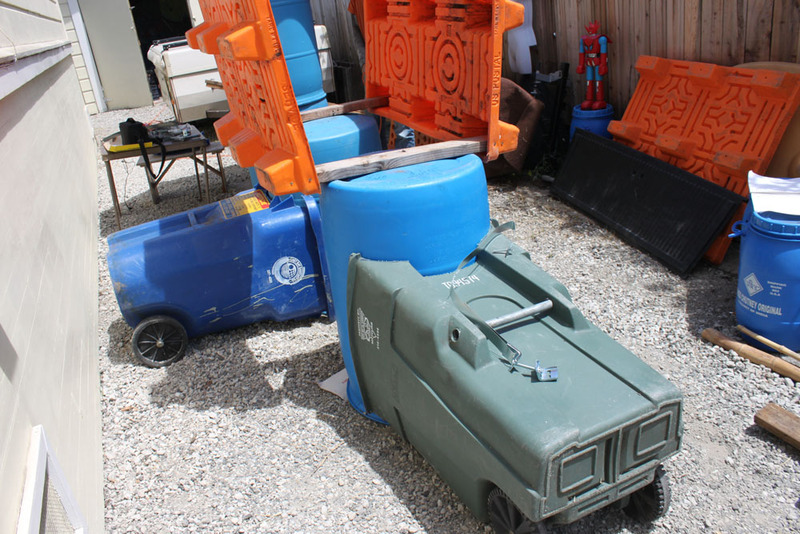 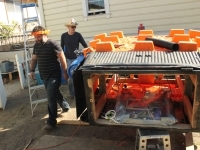 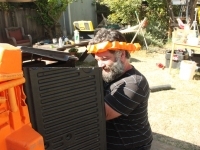 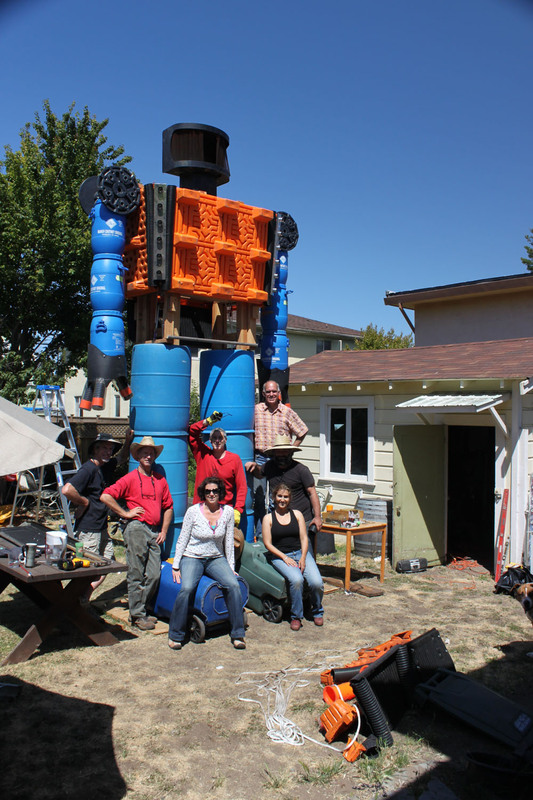 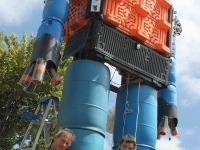 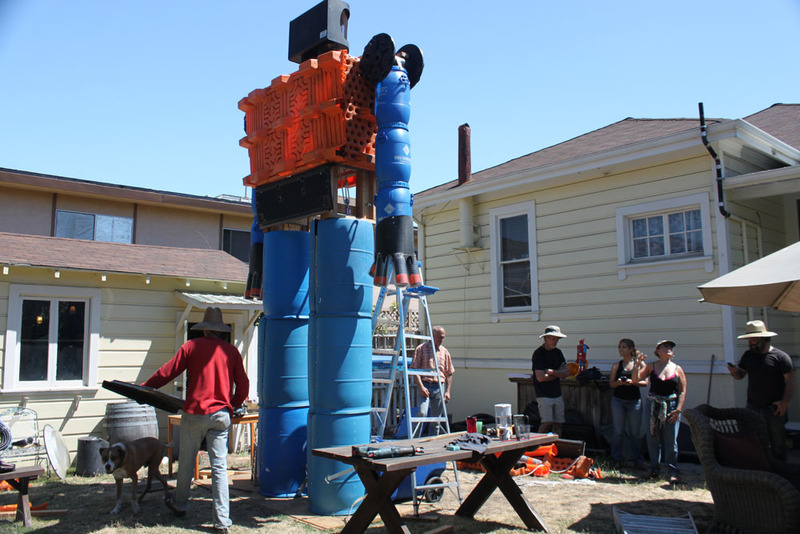 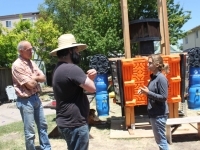 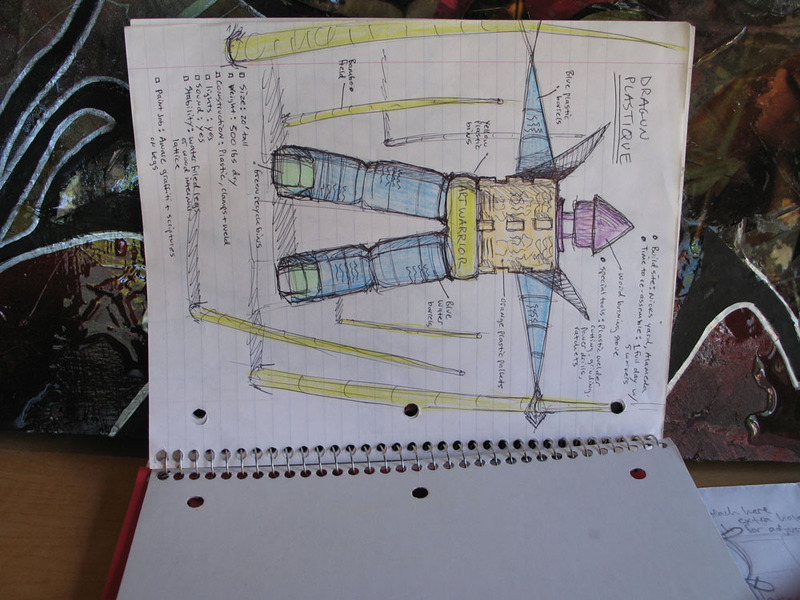 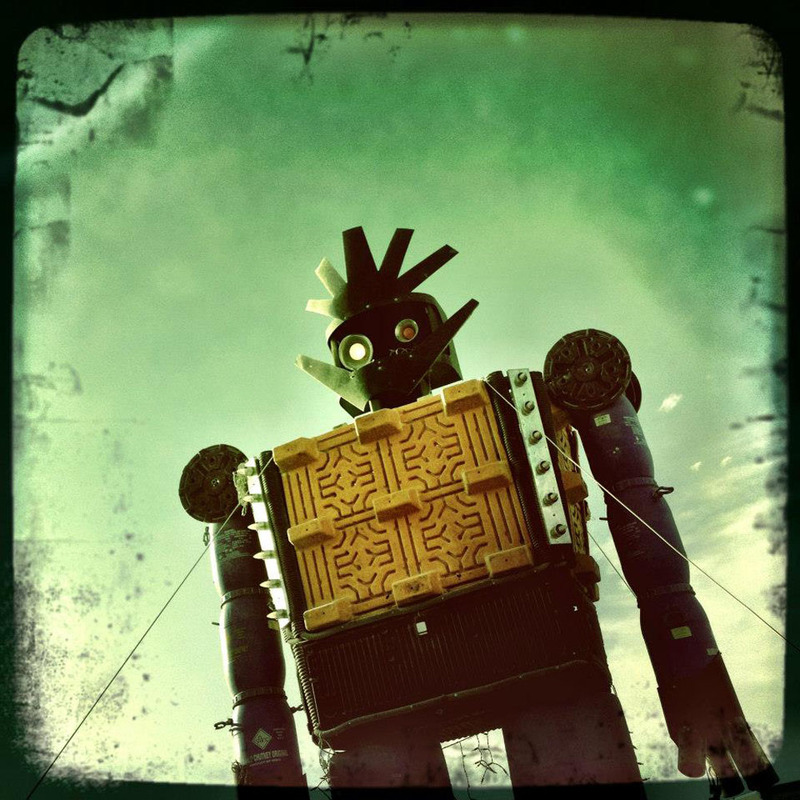 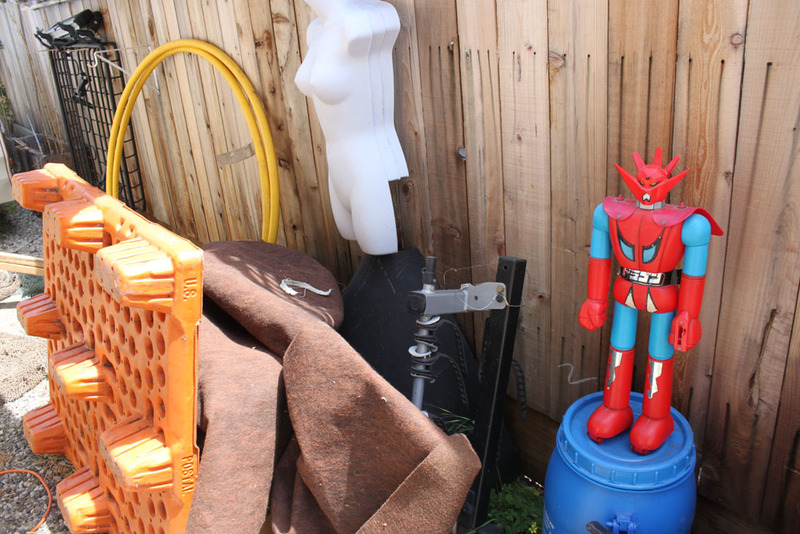 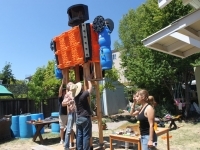 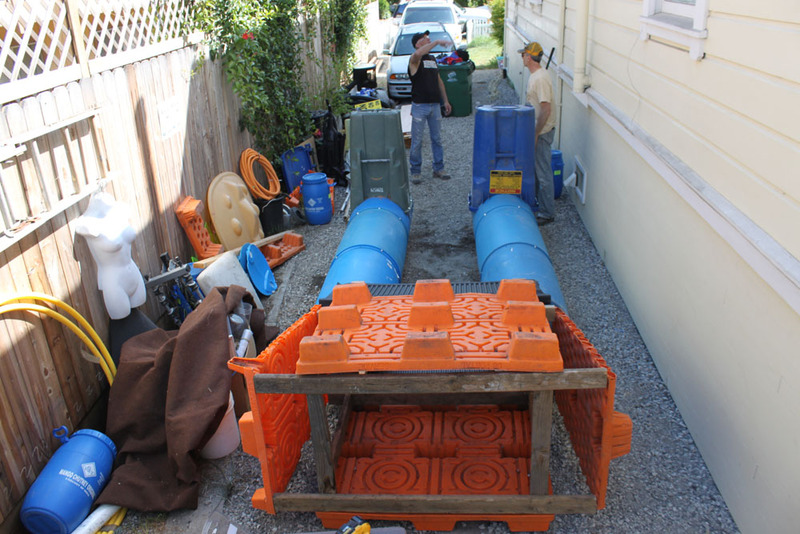 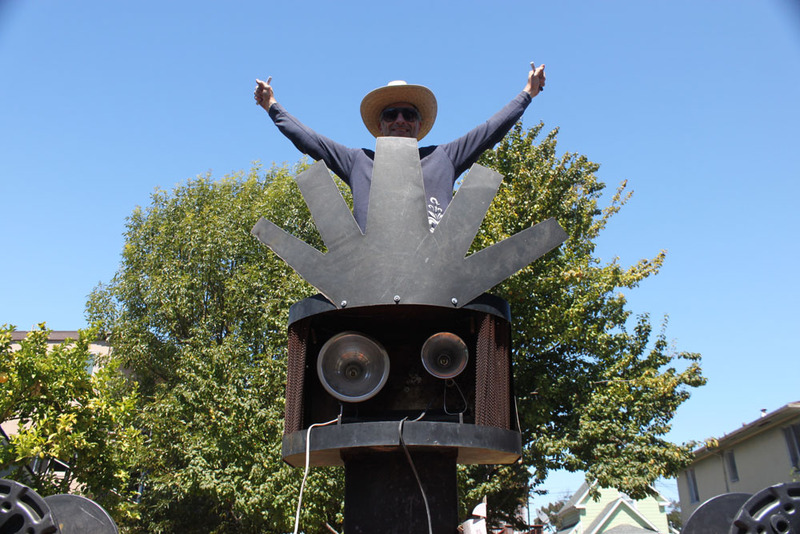 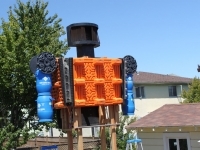 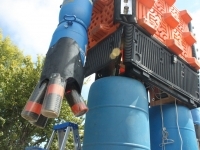 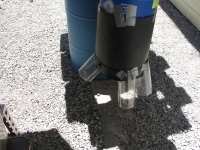 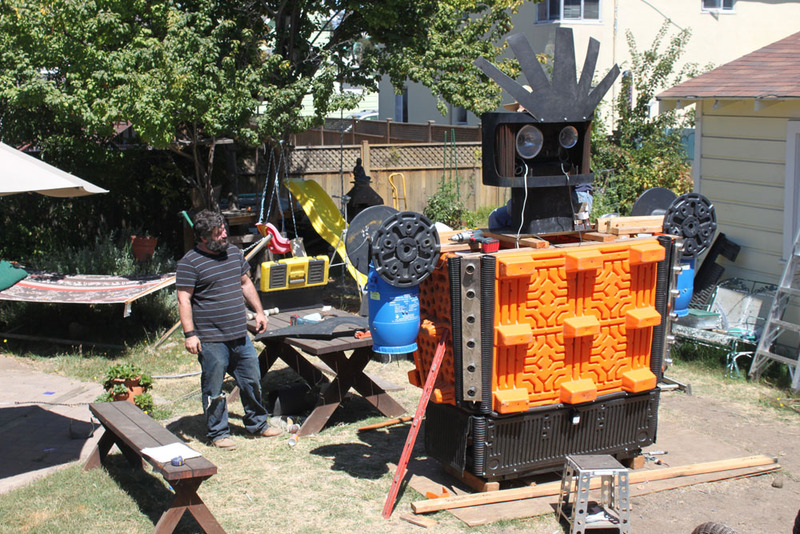 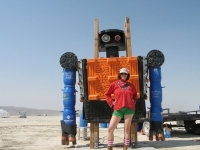 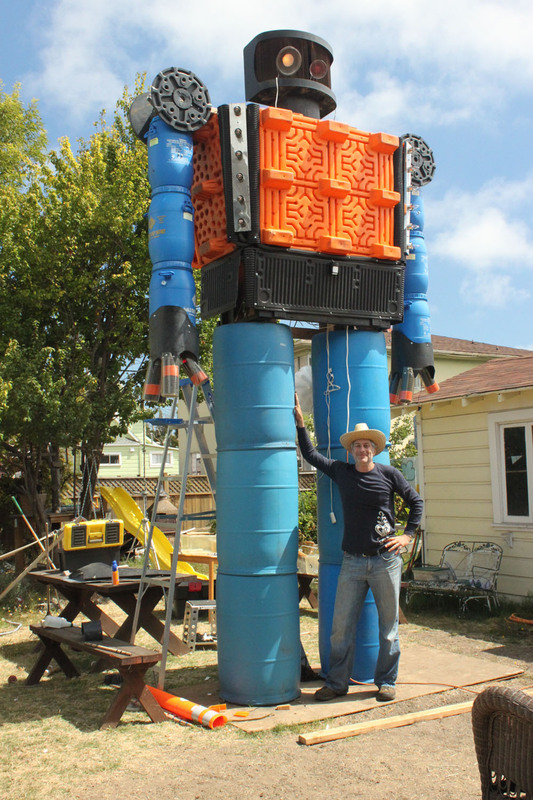 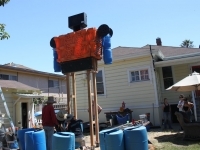 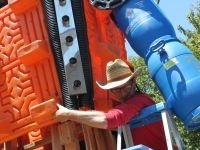 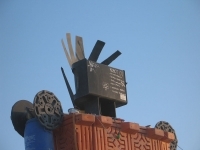 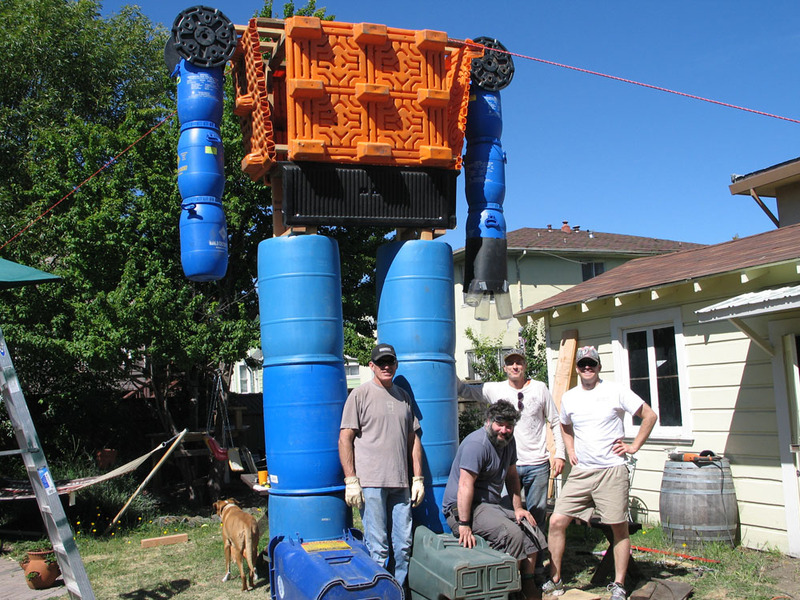 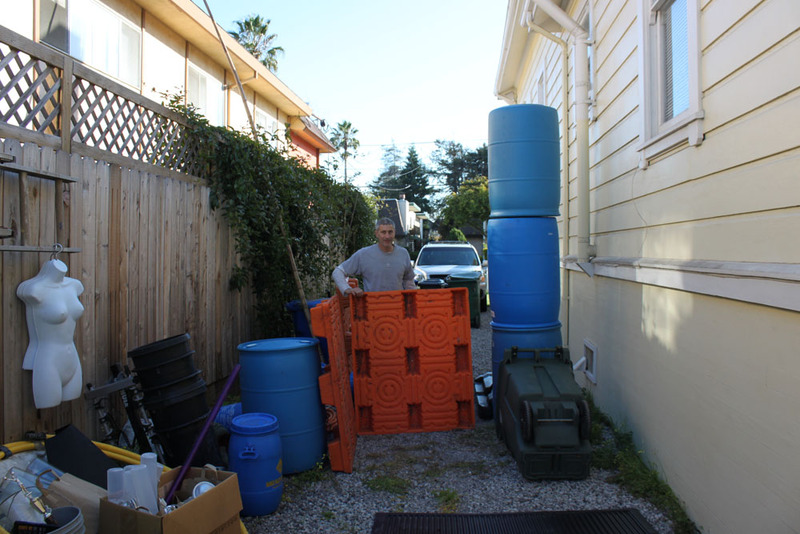 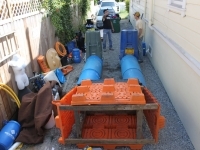 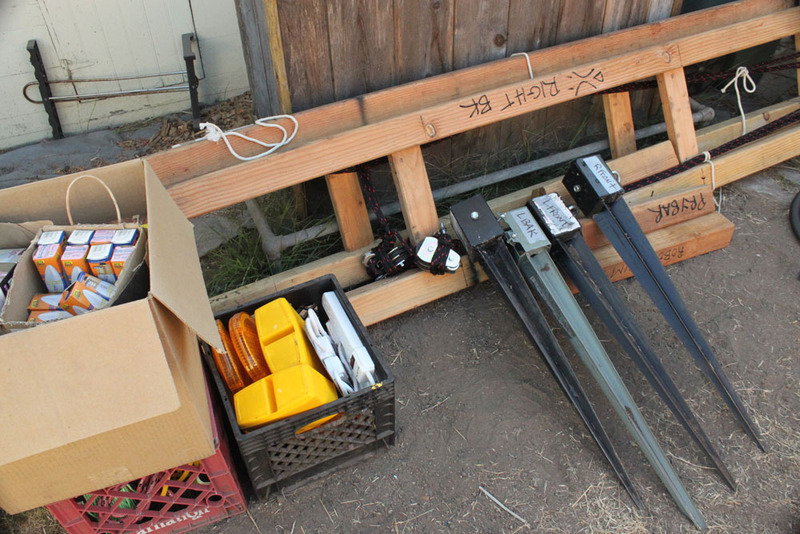 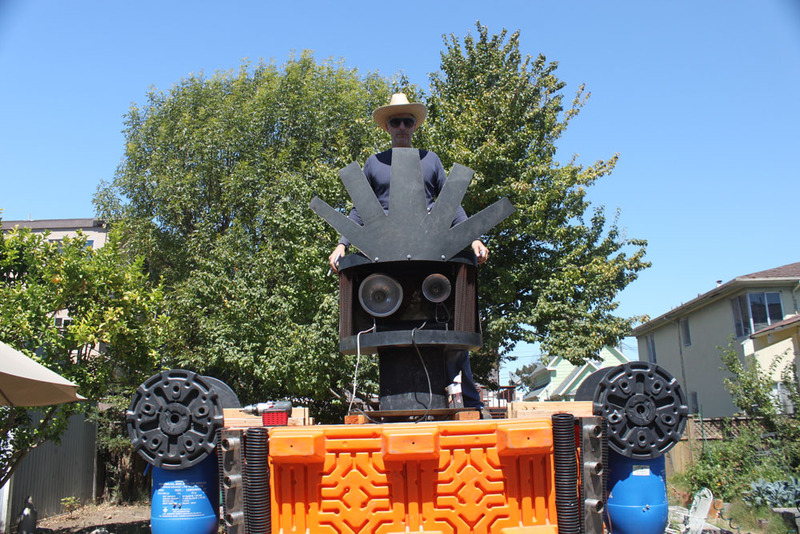 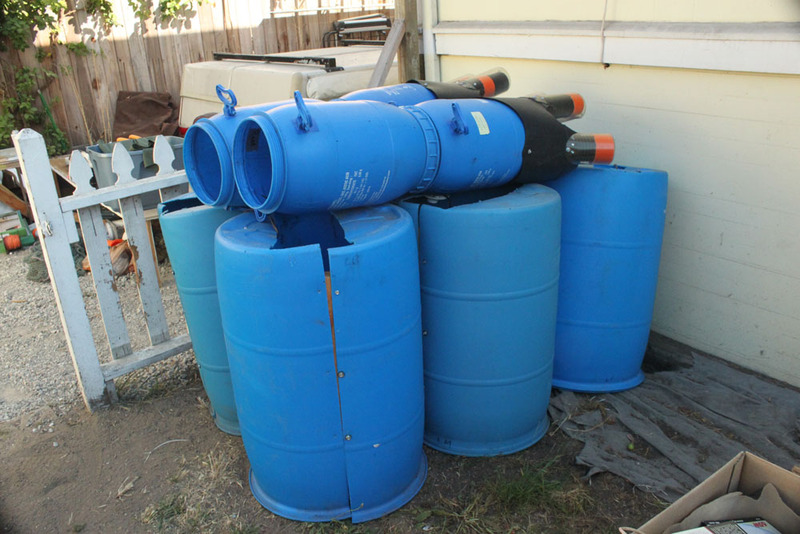 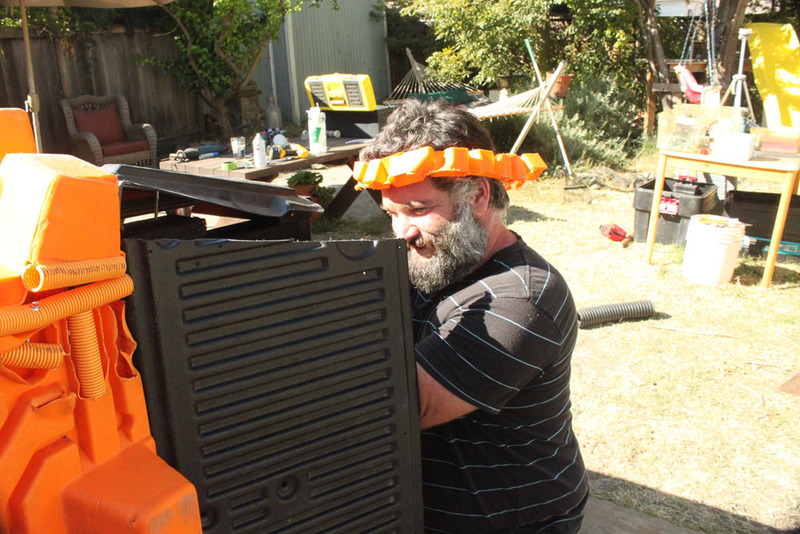 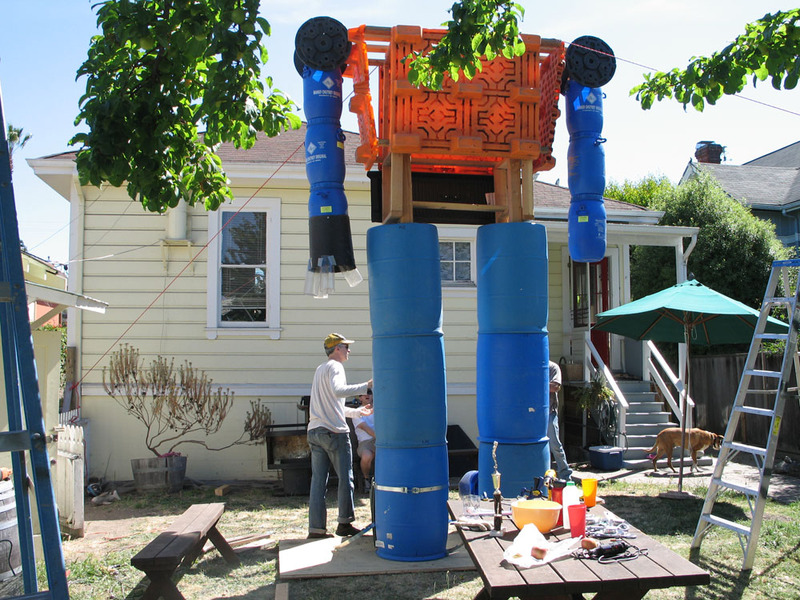 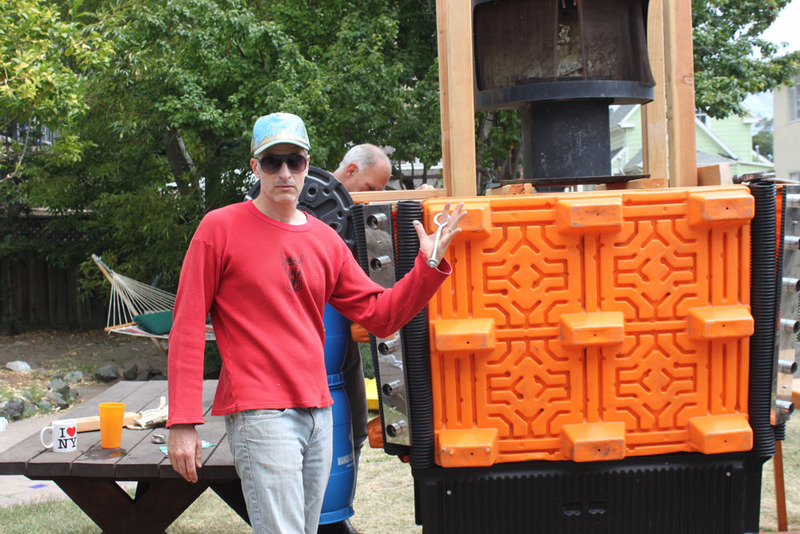 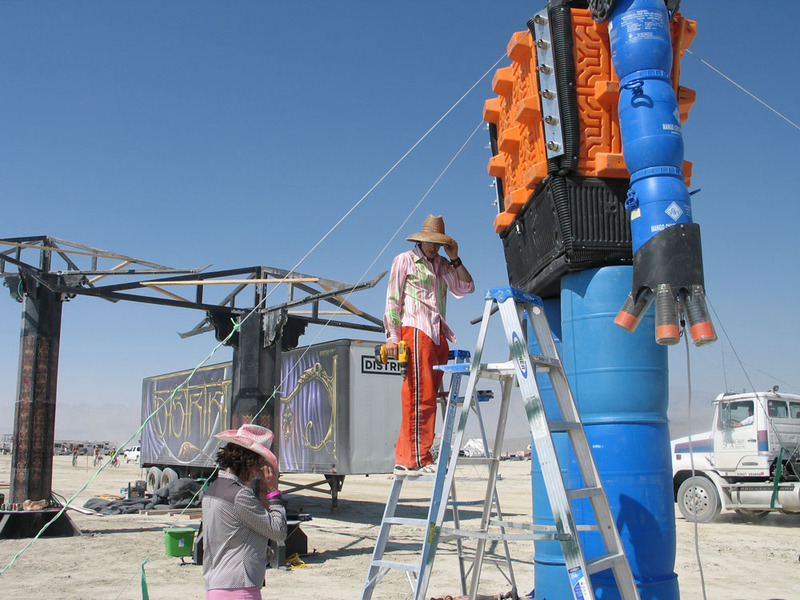 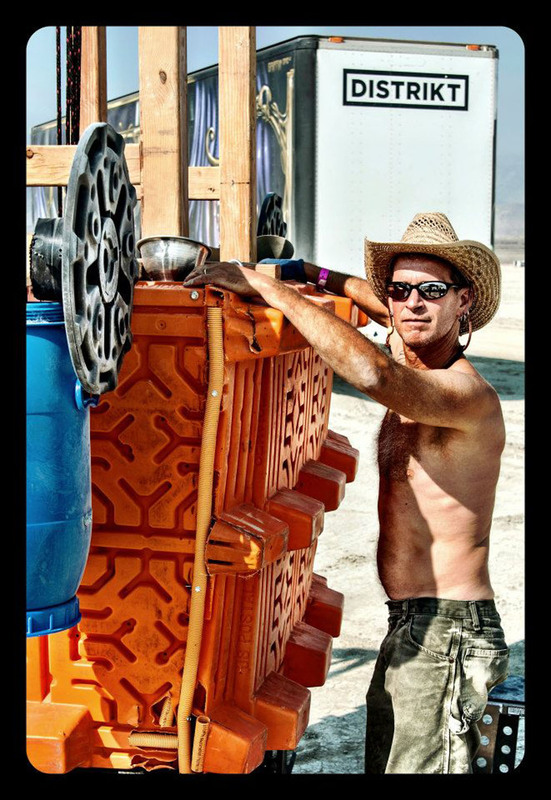 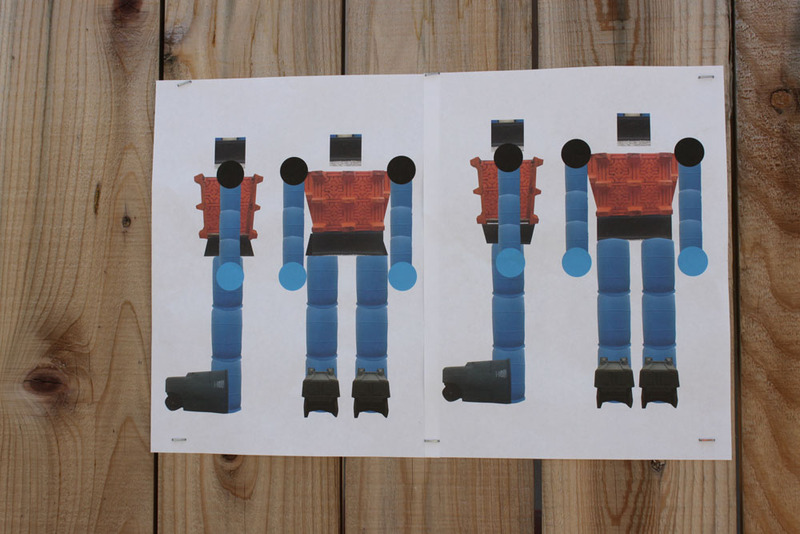 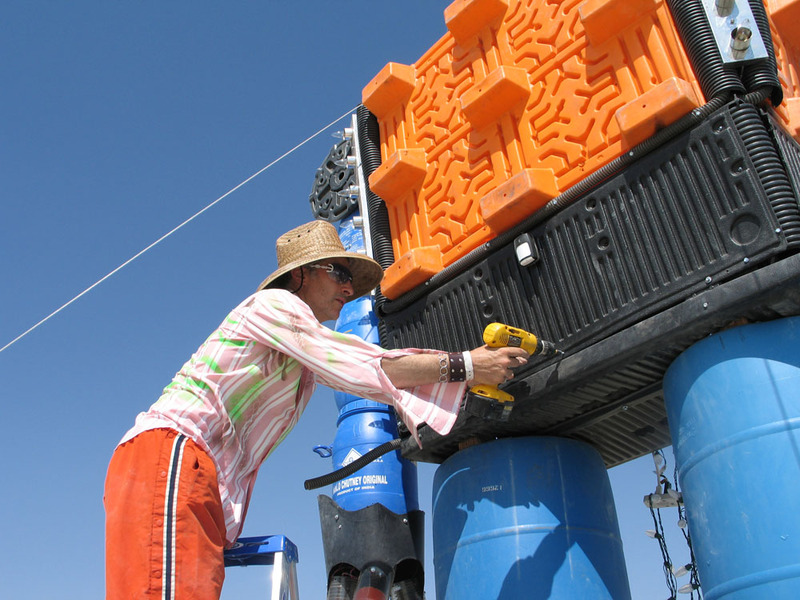 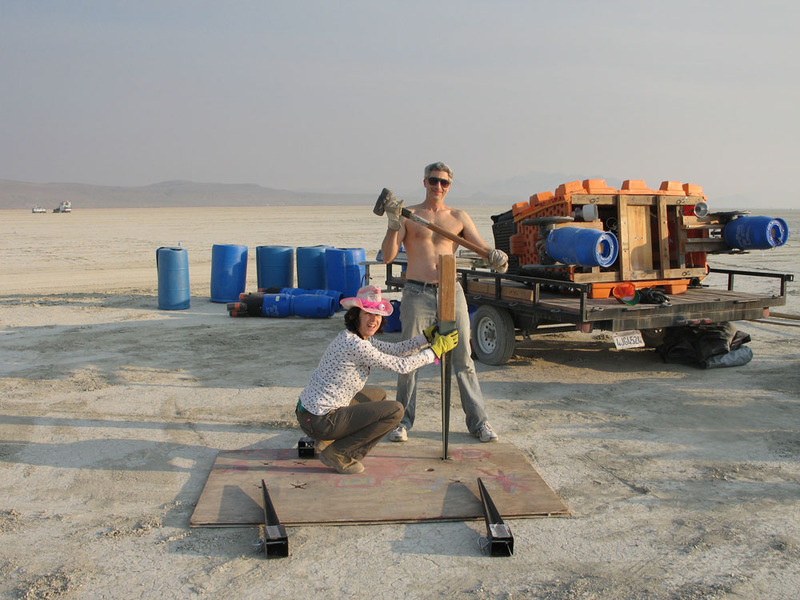 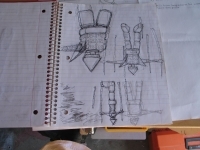 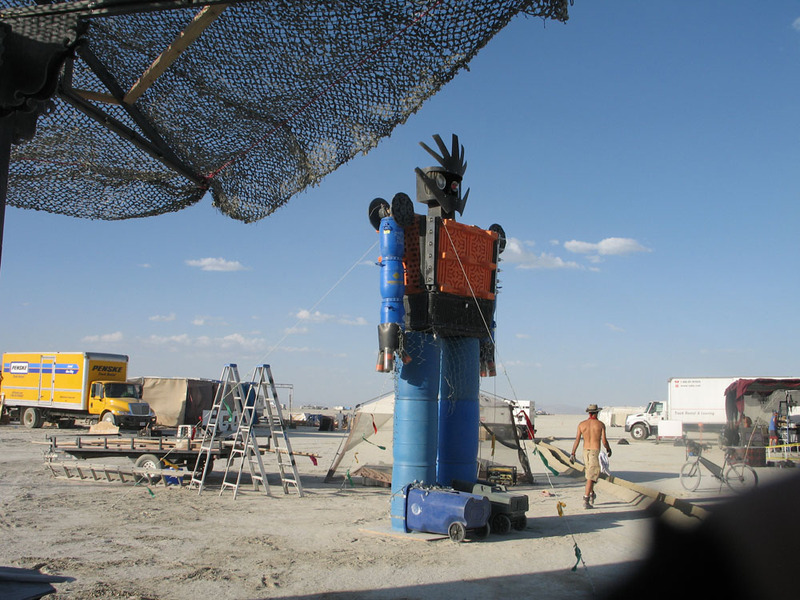 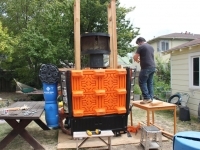 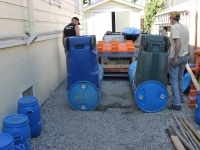 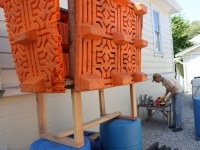 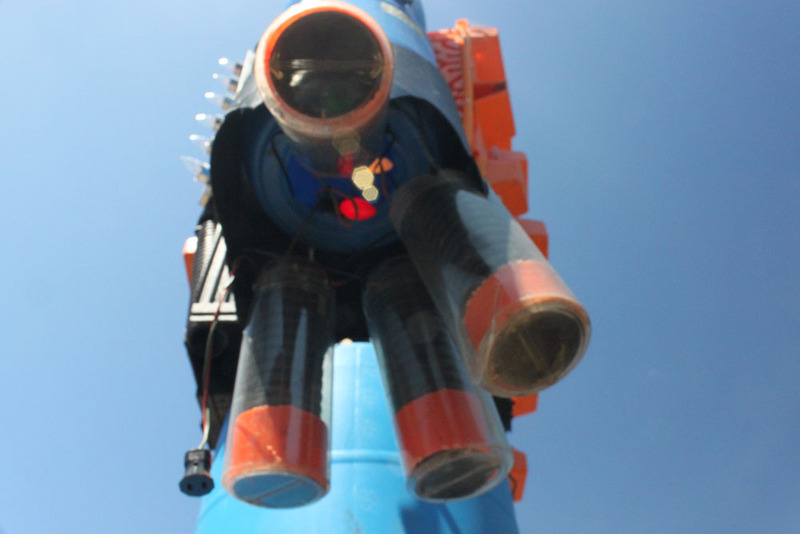 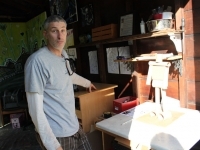 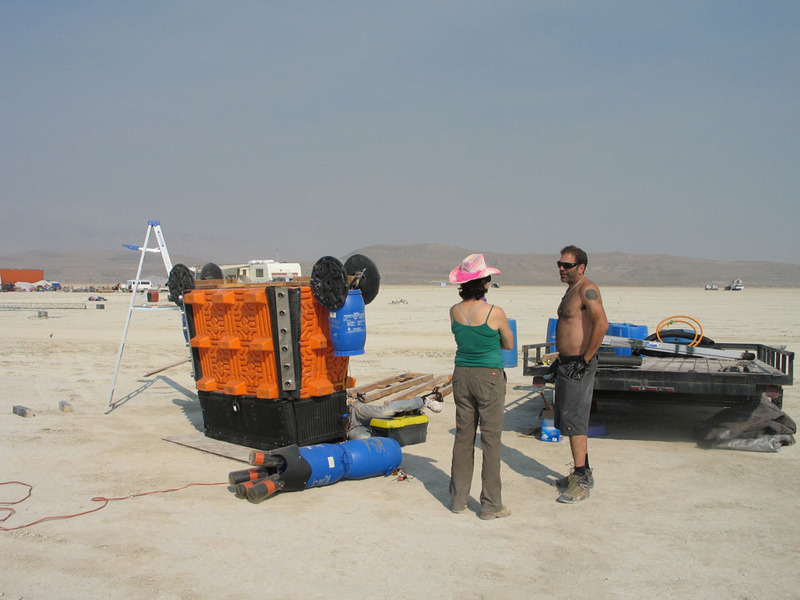 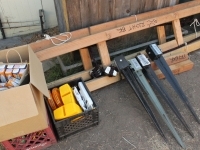 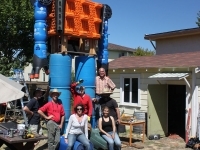 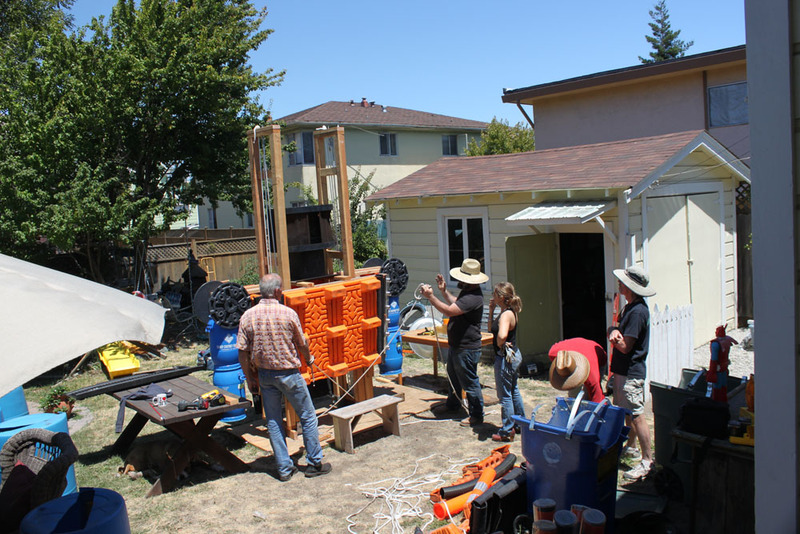 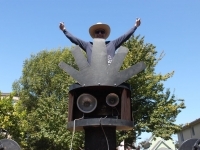 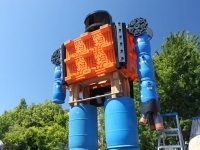 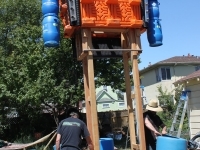 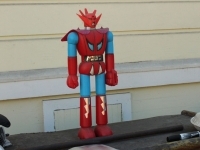 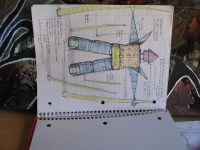 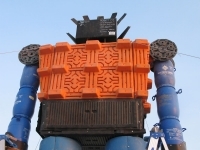 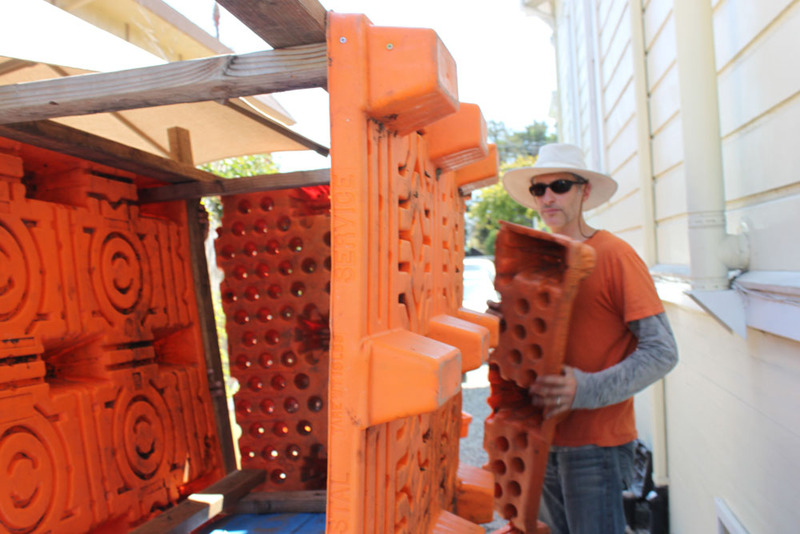 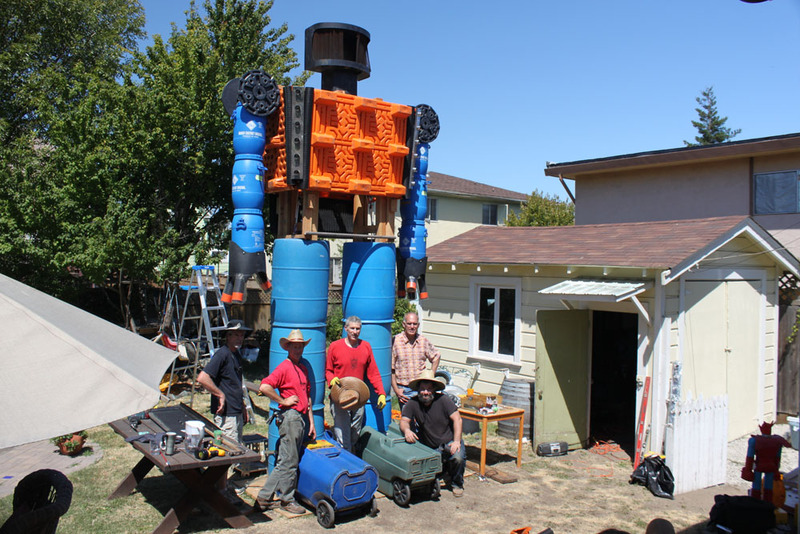 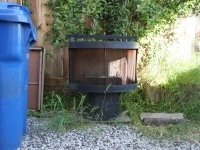 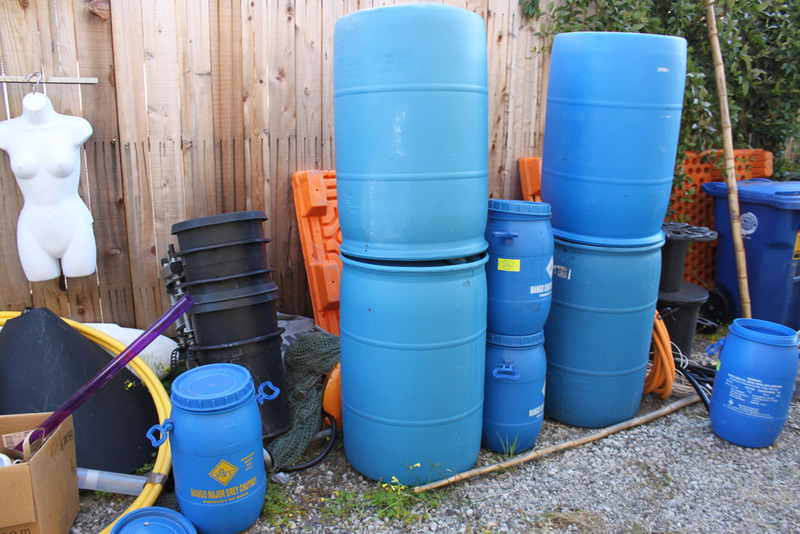 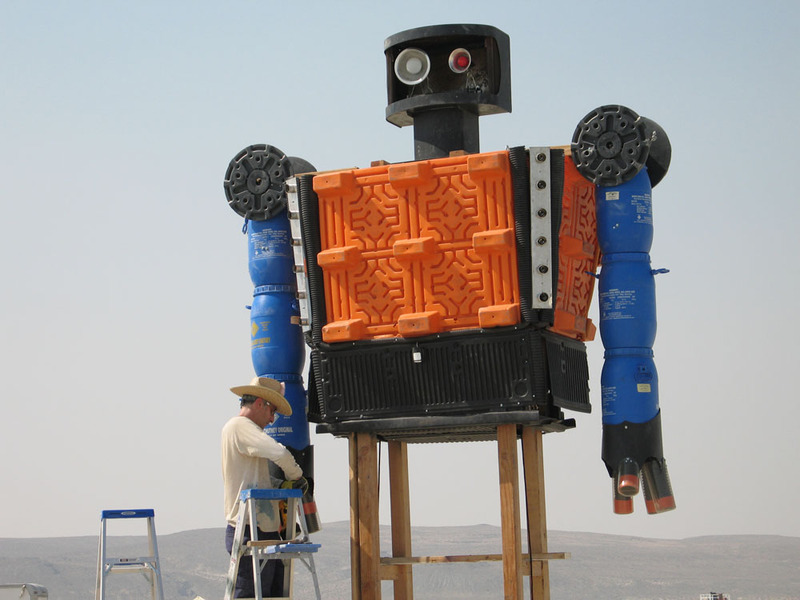 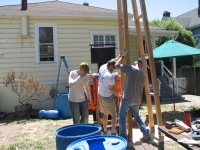 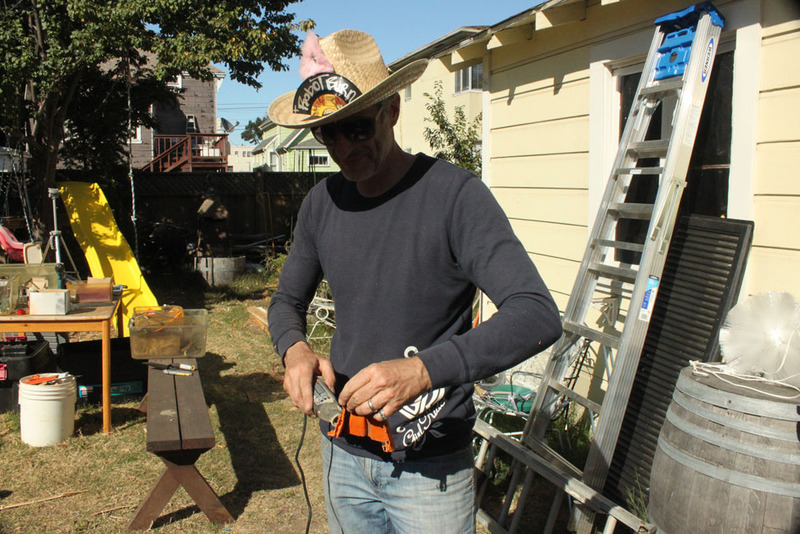 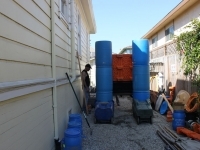 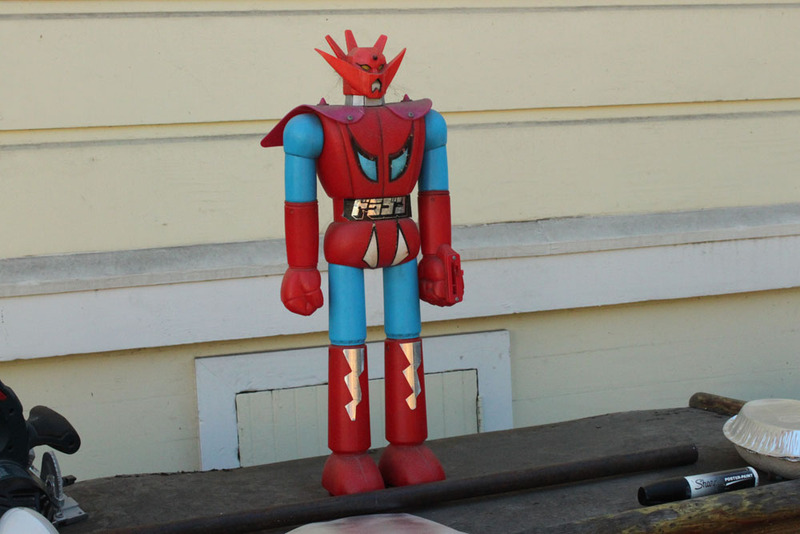 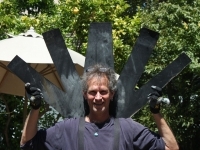 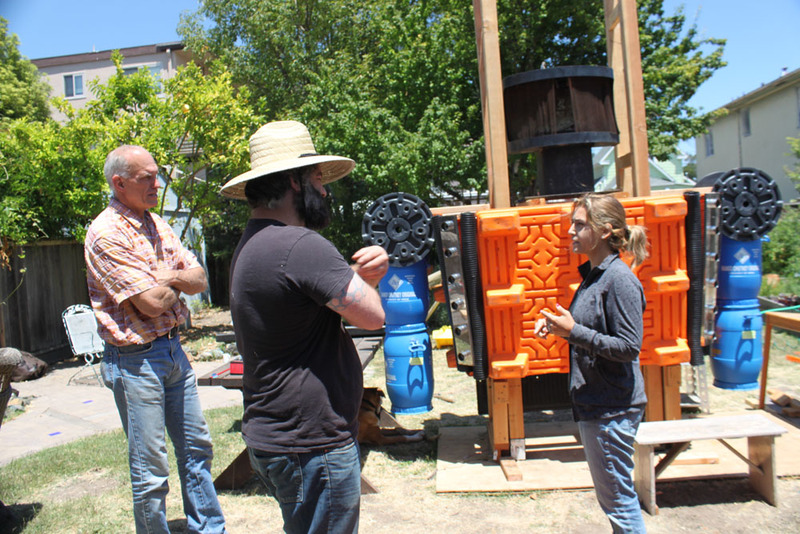 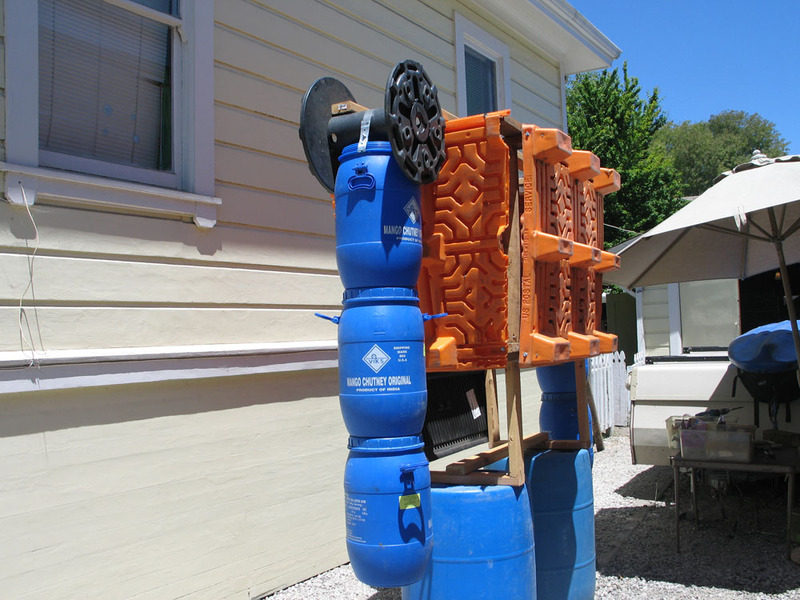 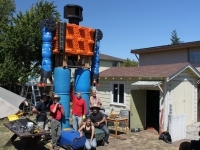 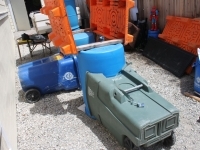 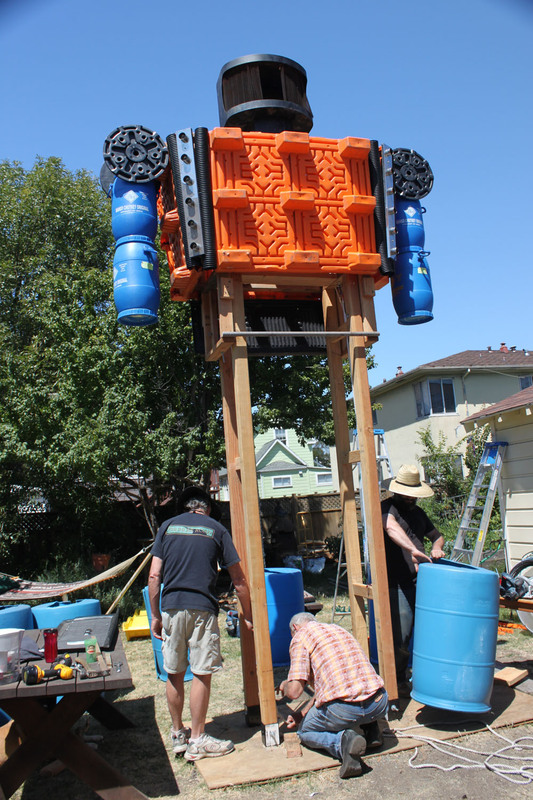 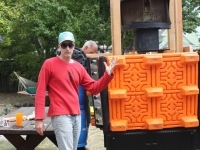 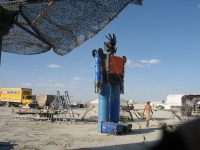 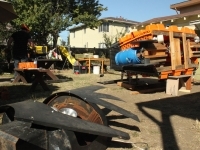 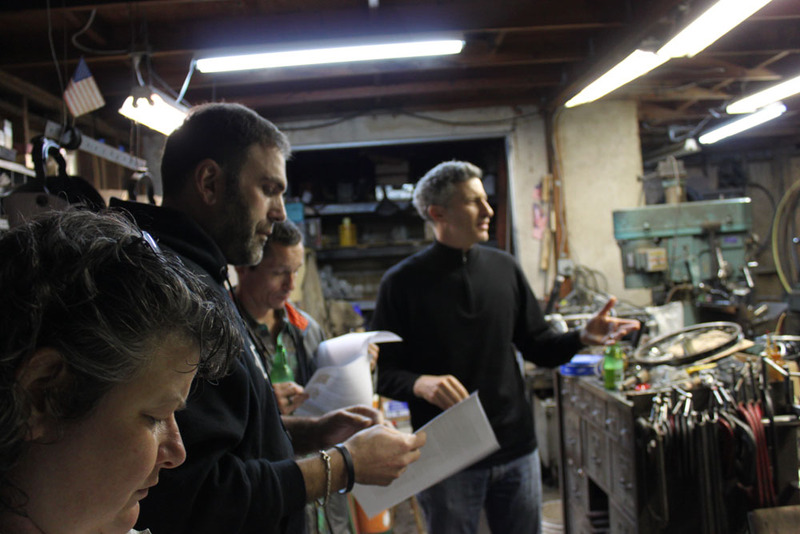 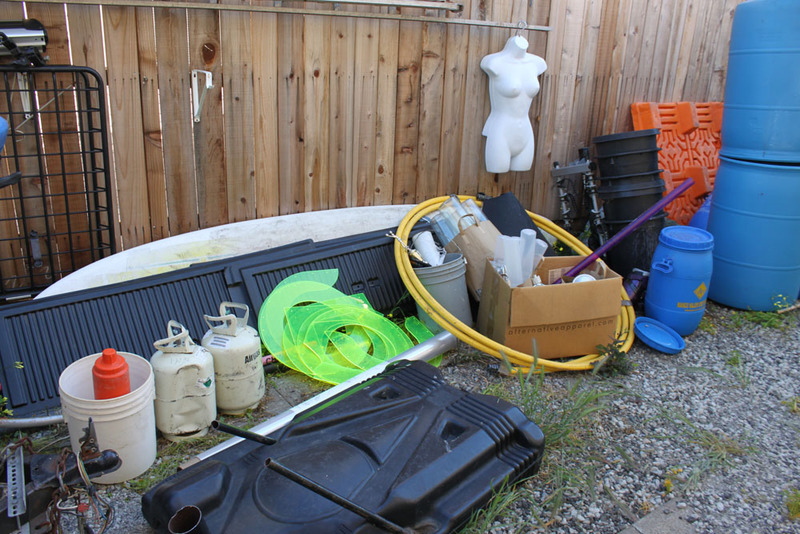 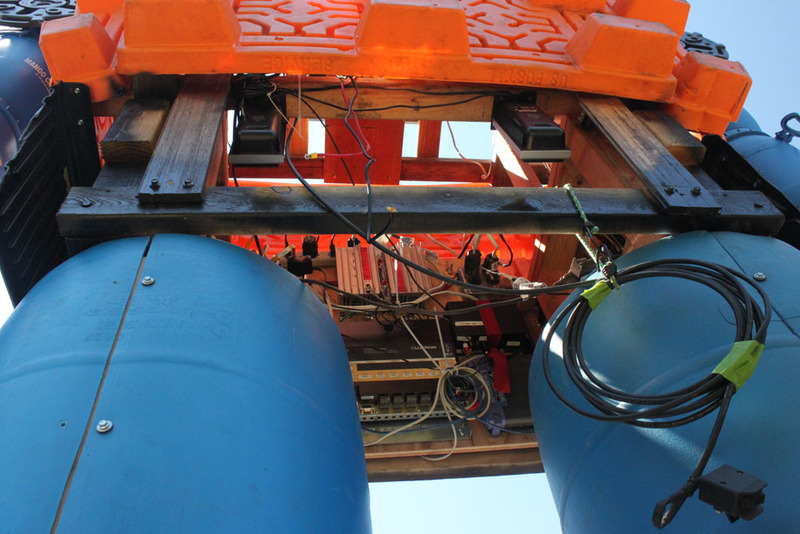 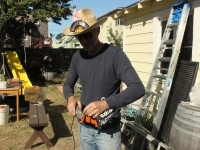 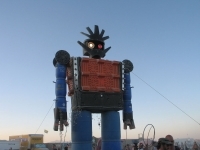 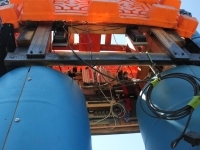 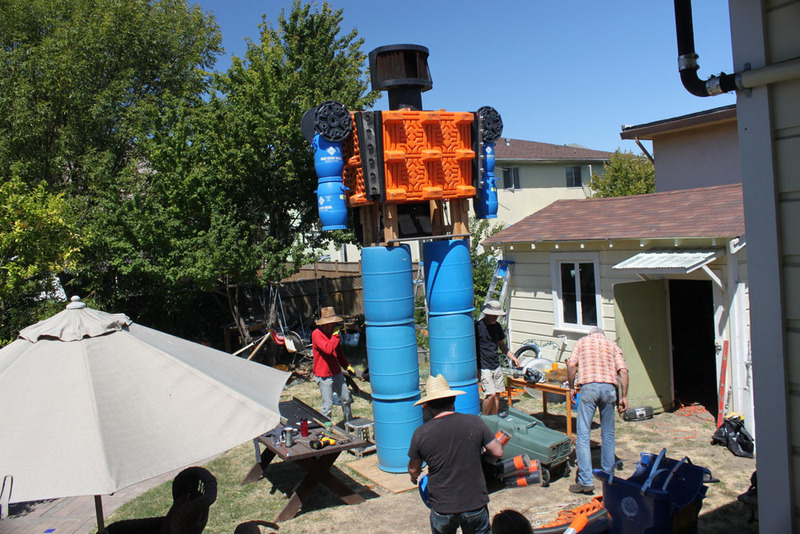 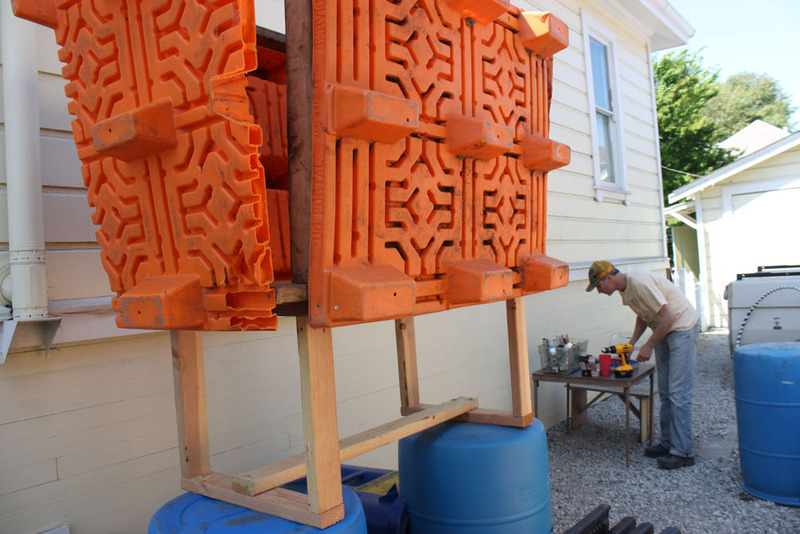 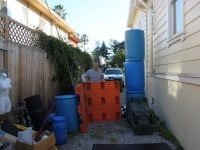 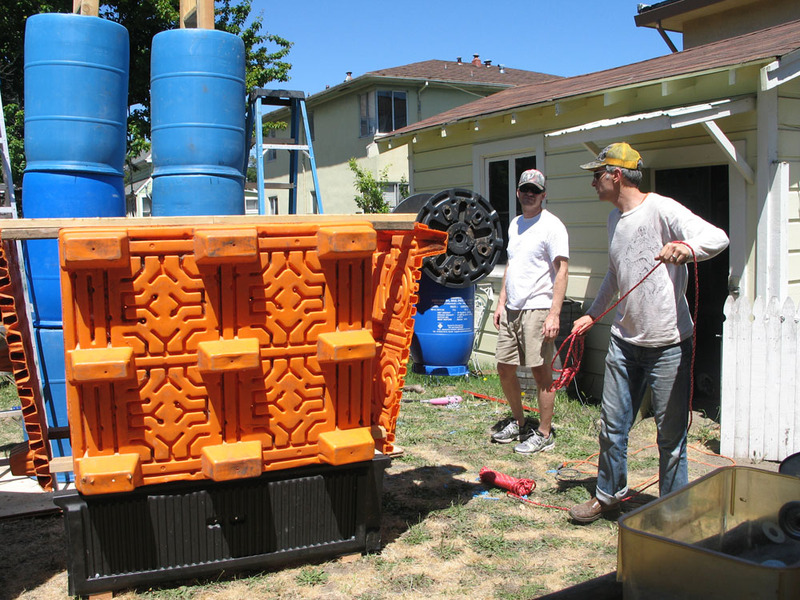 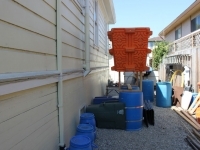 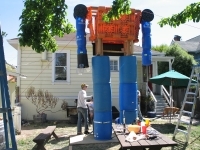 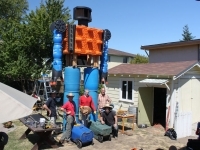 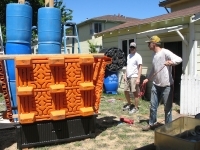 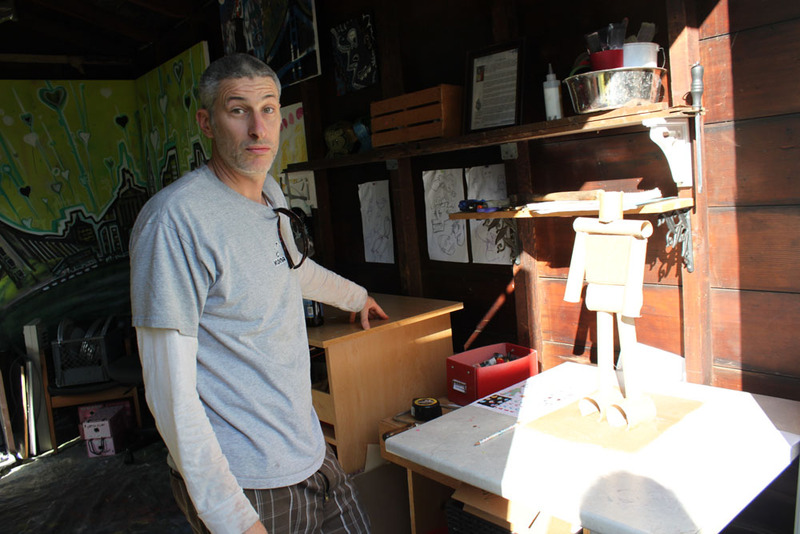 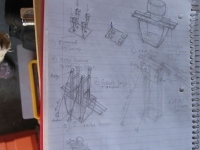 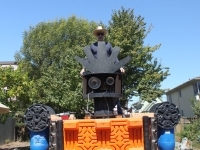 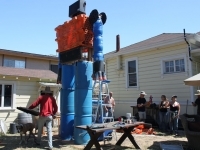 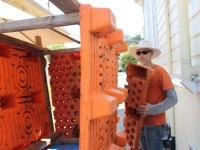 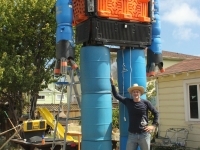 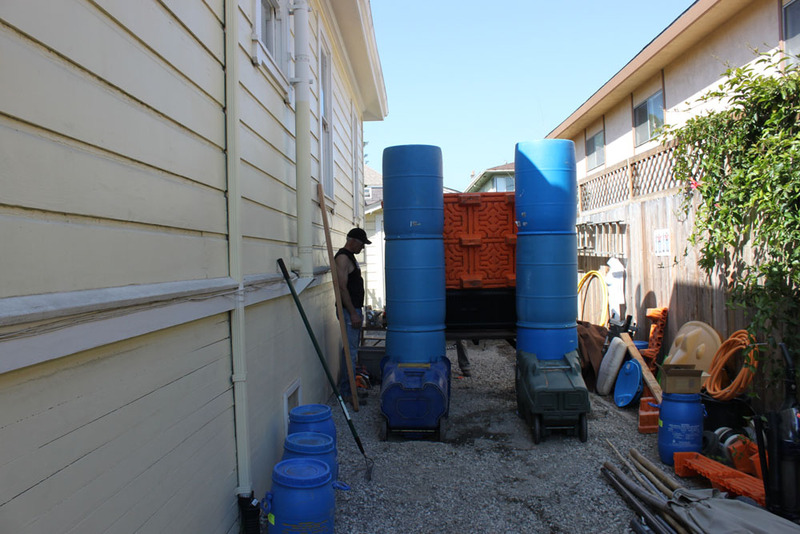 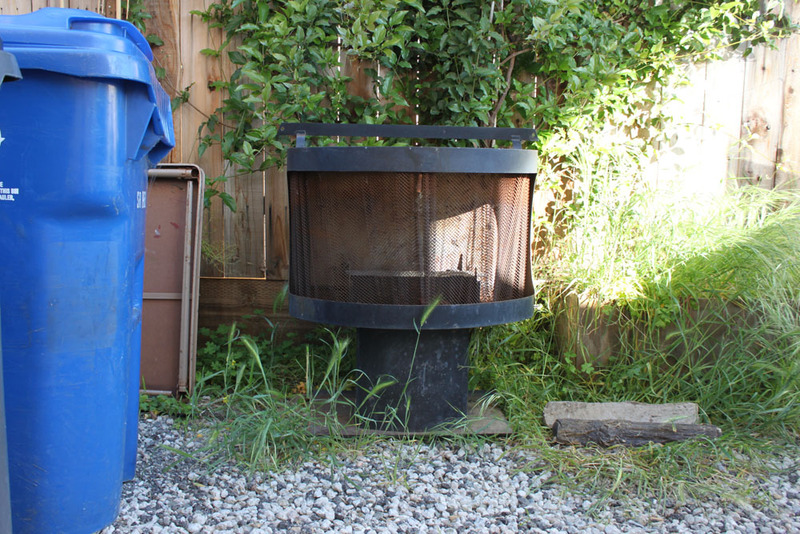 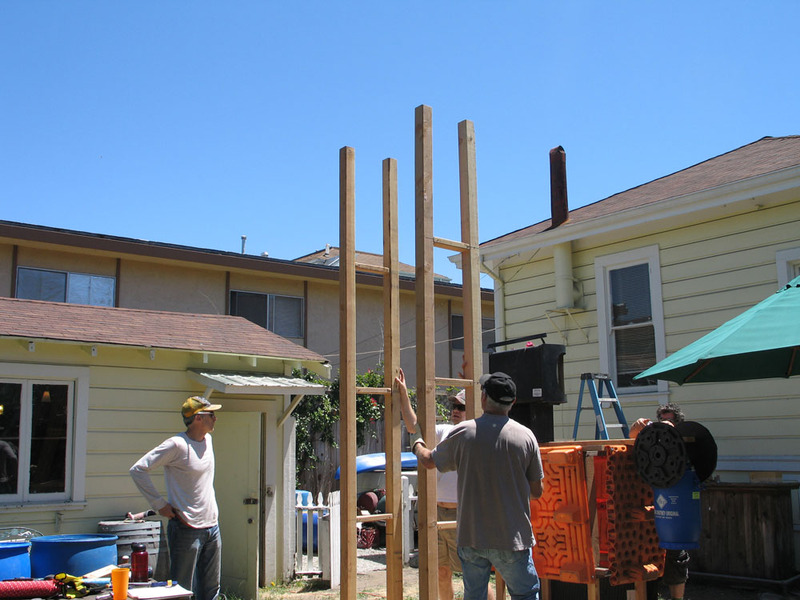 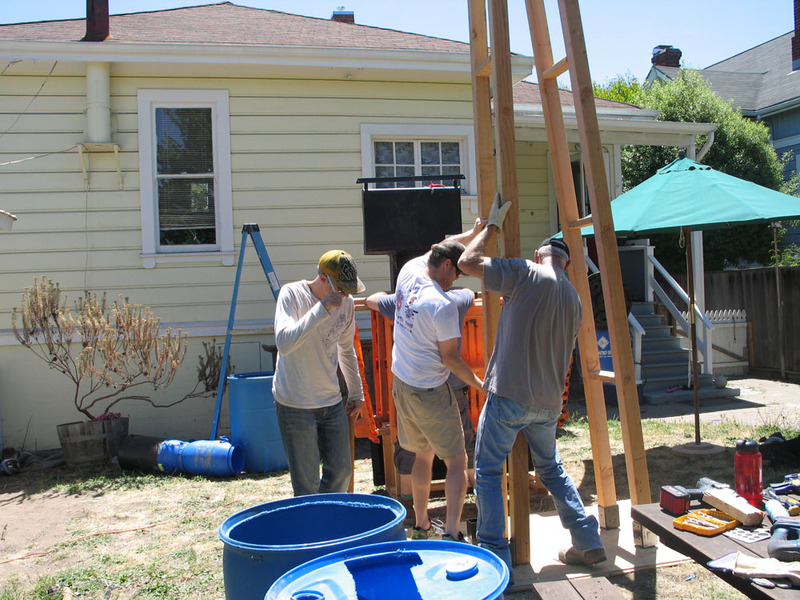 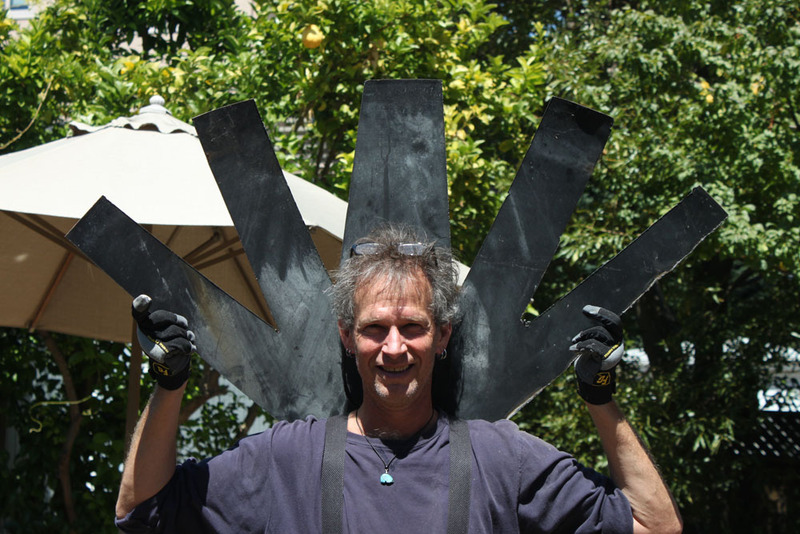 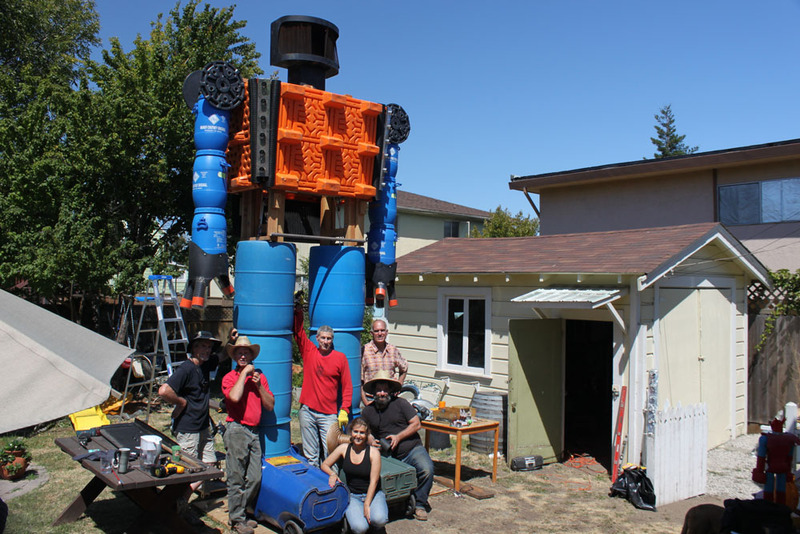 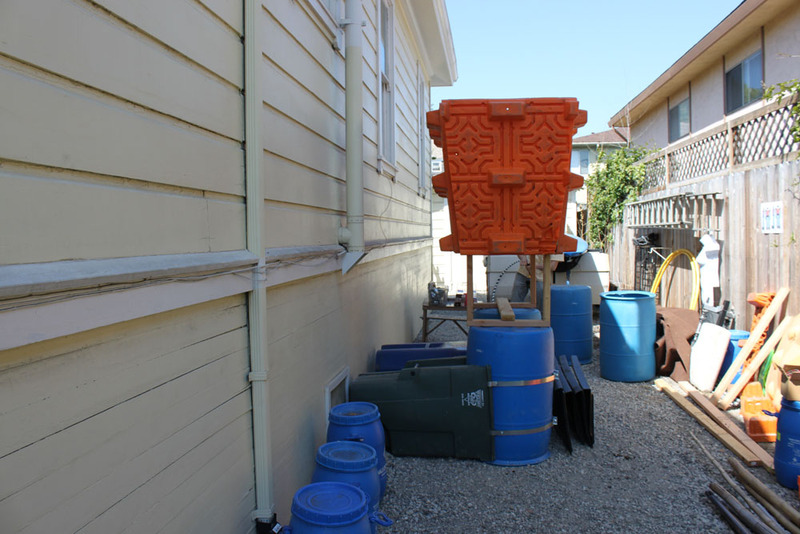 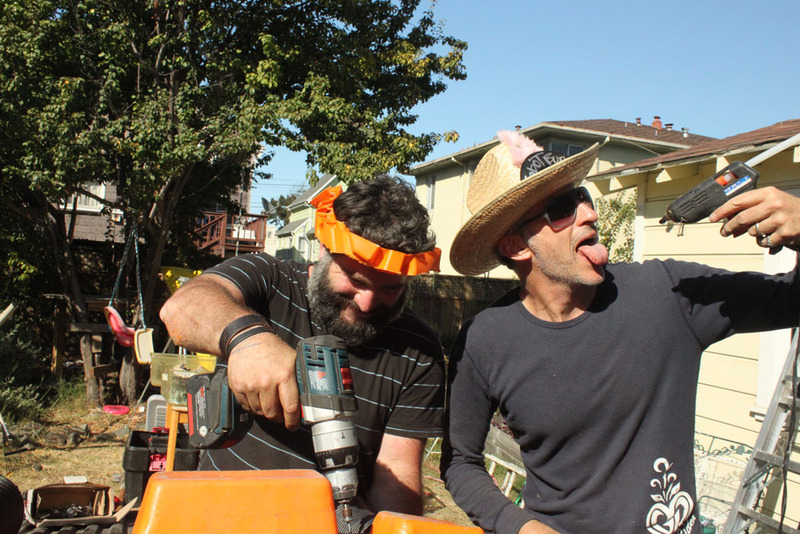 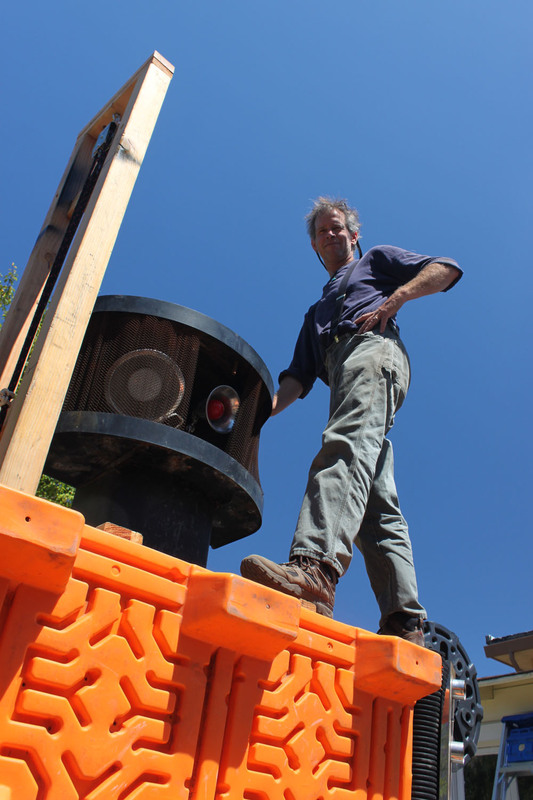 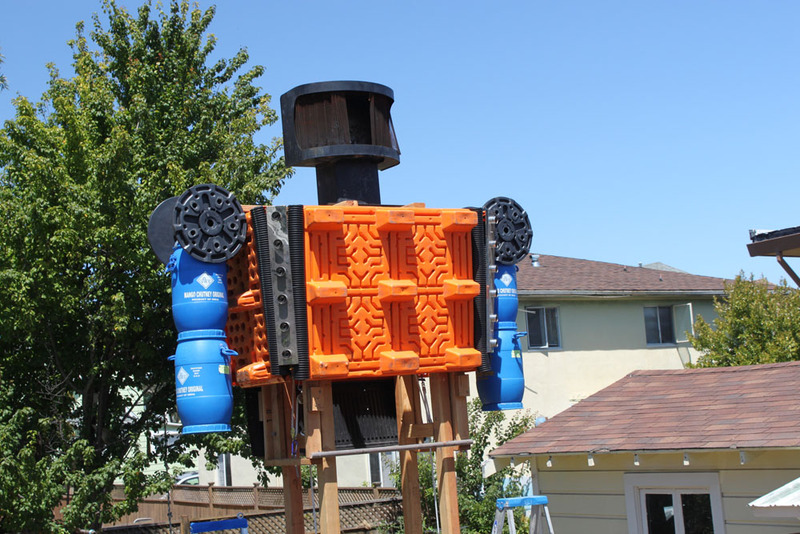 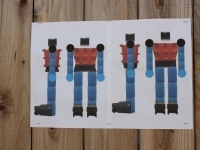 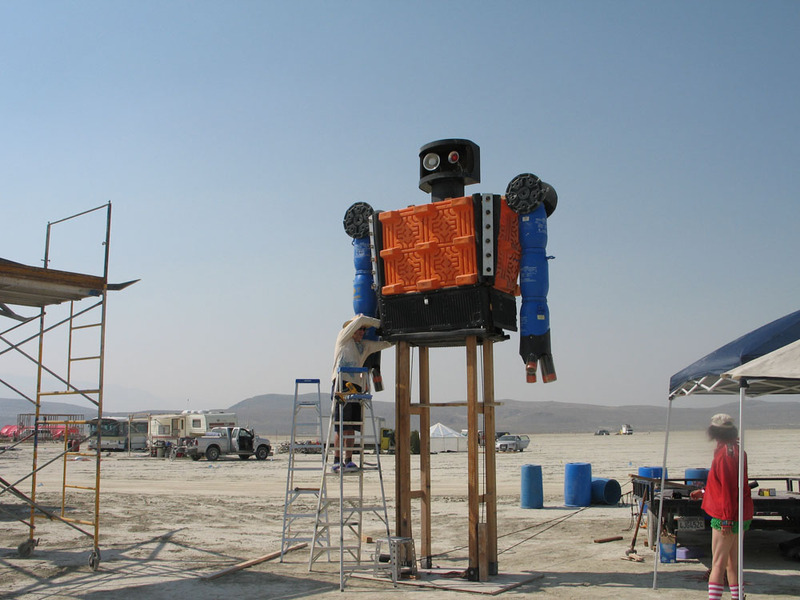 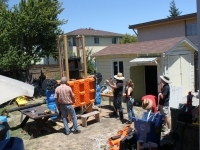 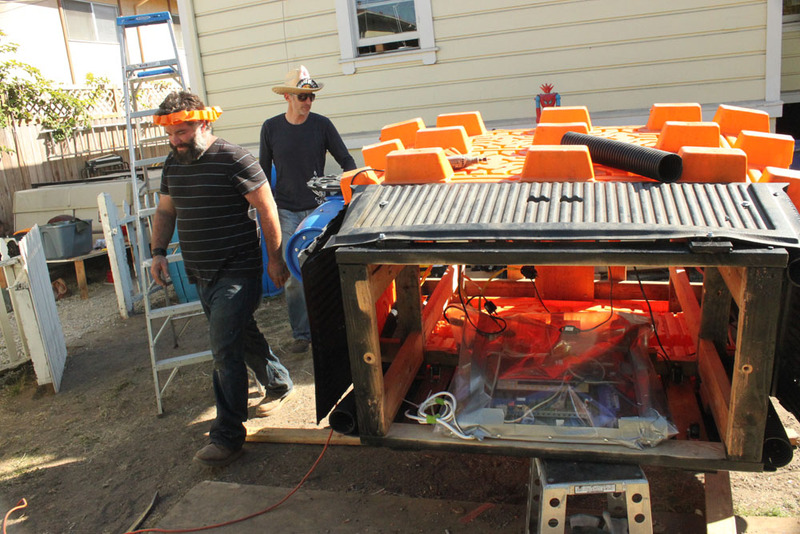 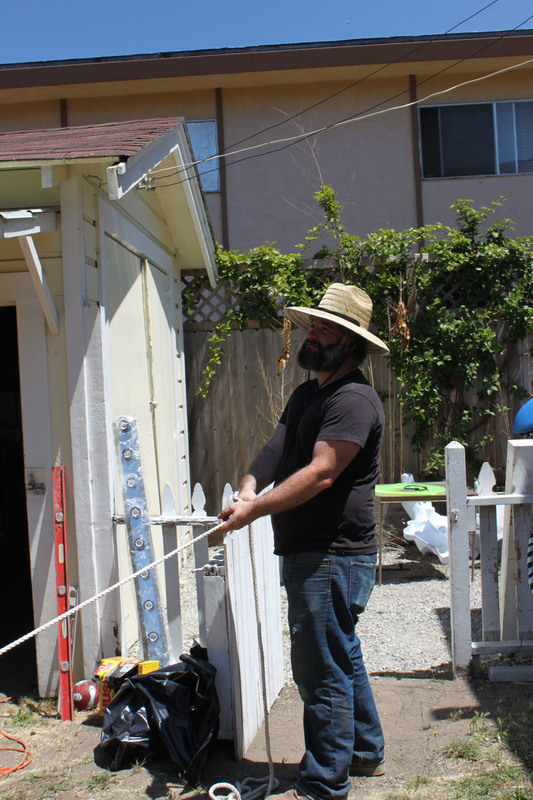 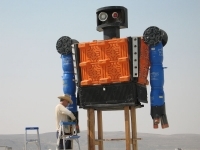 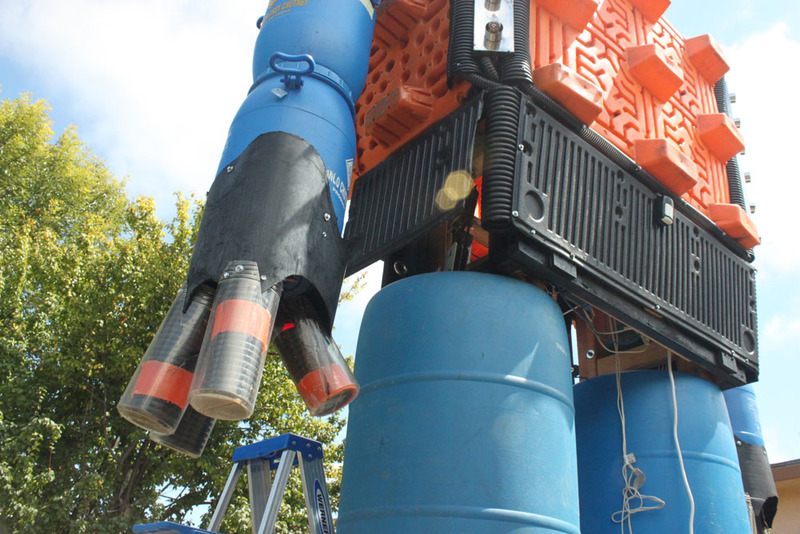 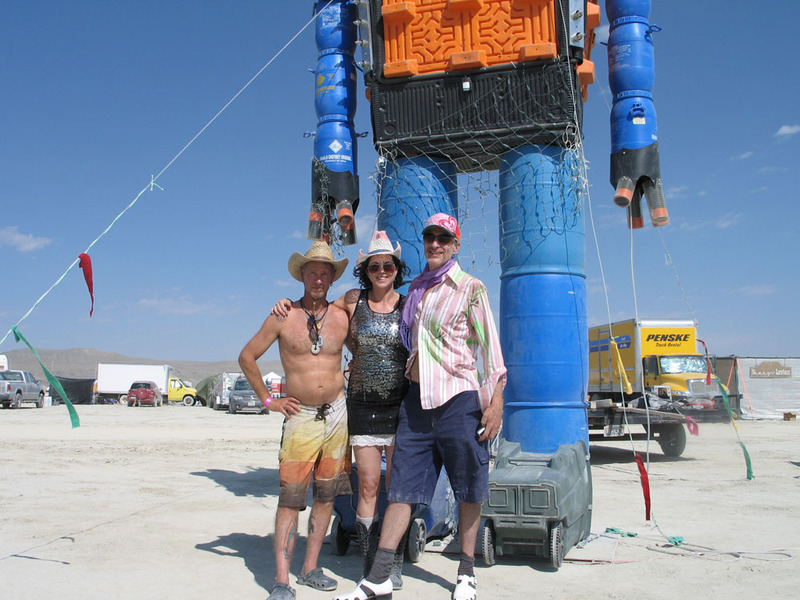 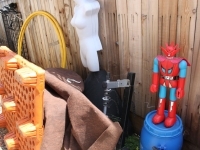 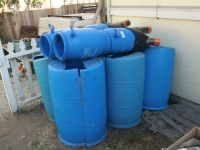 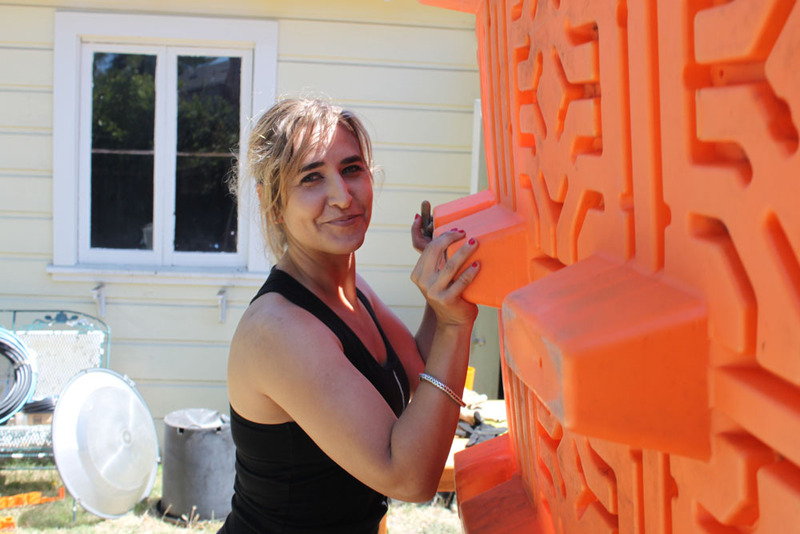 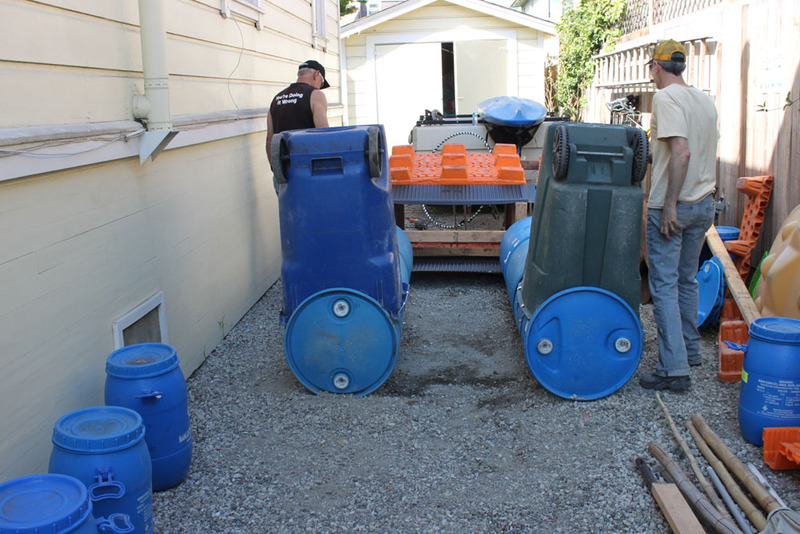 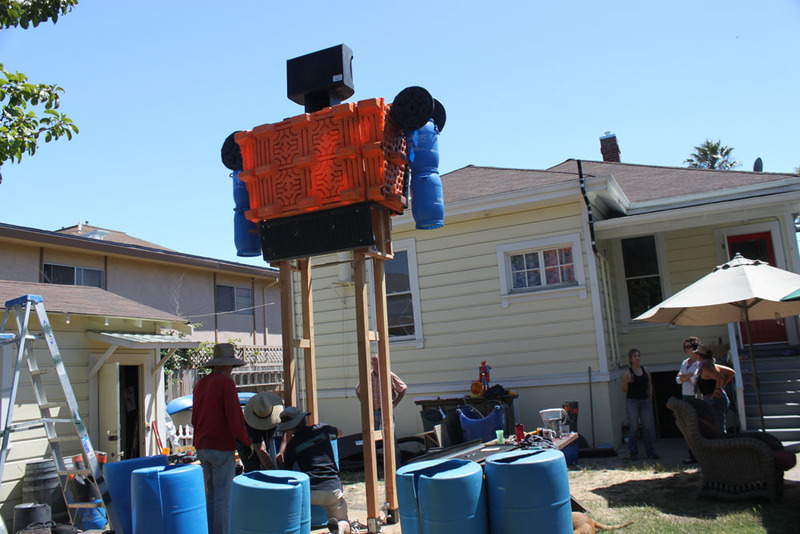 The robot took final shape in a single instant when Nick found the bright orange mail pallets (chest) and blue water barrels (legs) at the scrappy San Pablo salvage yard in Oakland late in 2011. 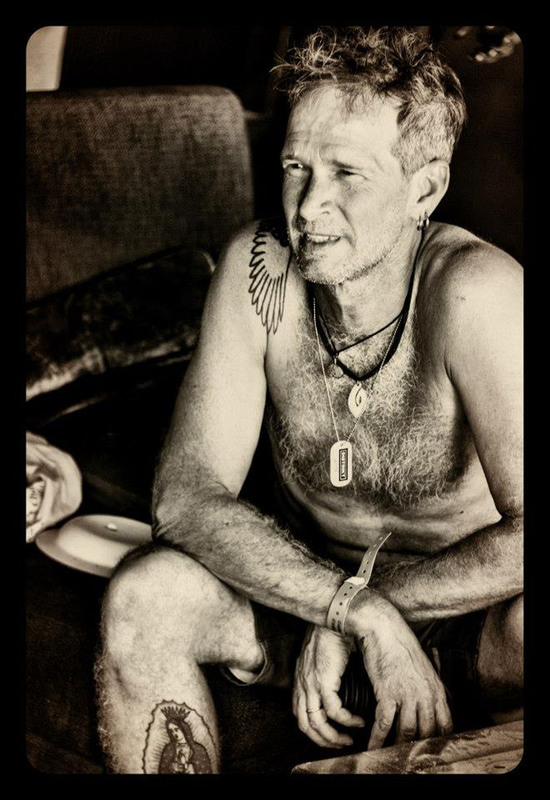 All the photos are mine except the last 16 – and please pardon me for not crediting the photographers, they came in scattered over Facebook.